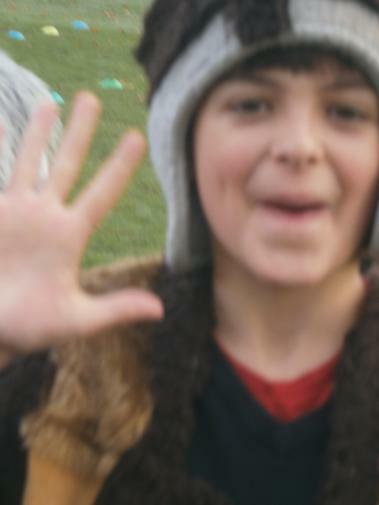 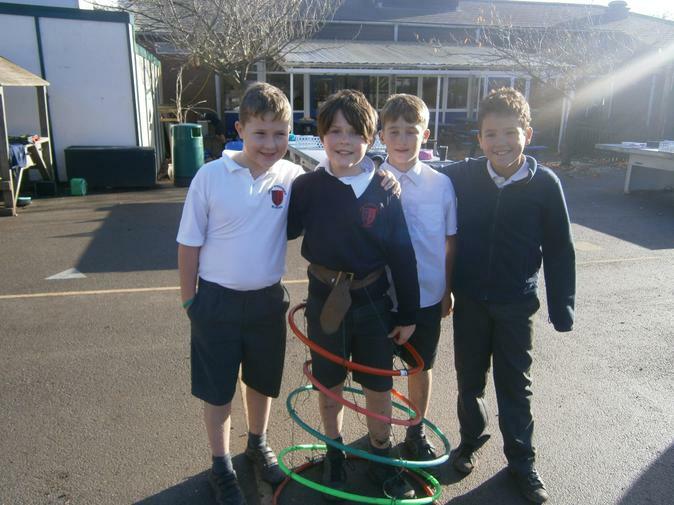 What a fun year Year 6 is. 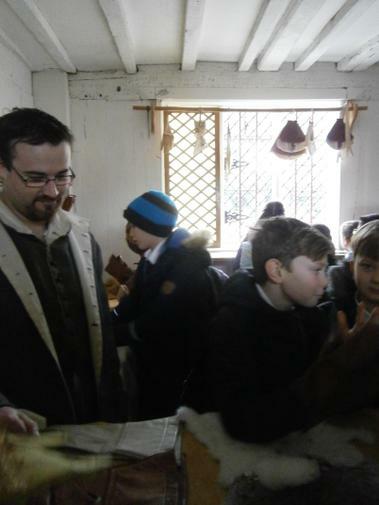 It is very busy and action packed but also very rewarding. 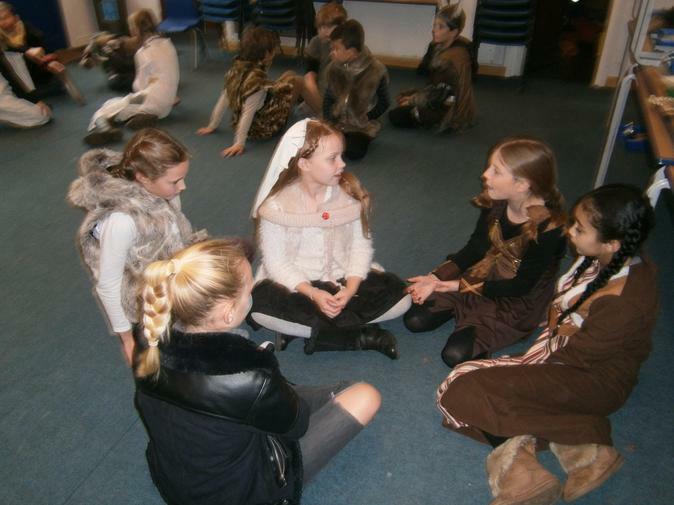 We have exciting topics, theme days and lessons. 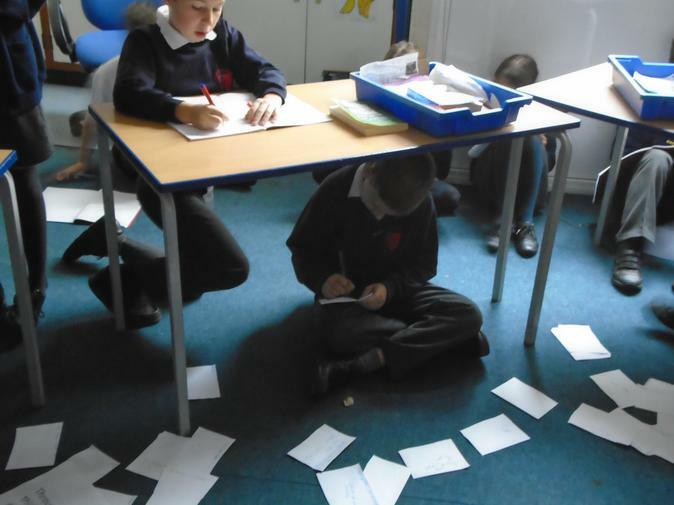 We continue to be independent learners and use our growth mindset every day to learn from mistakes. 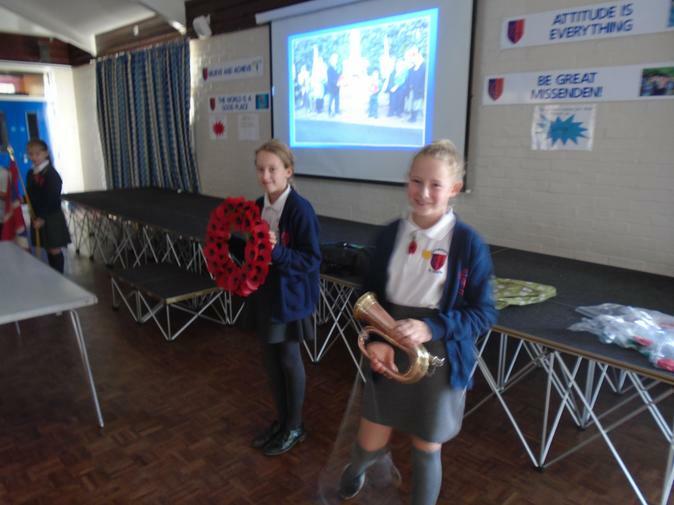 We set an example to the rest of the school and have increased responsibilities. 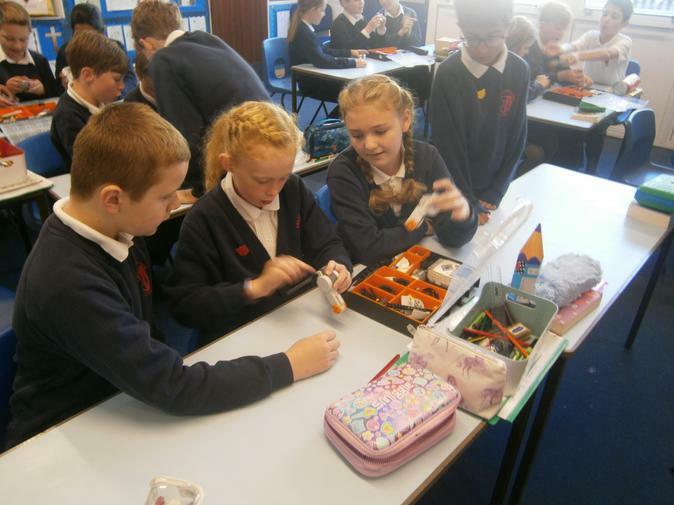 We look forward to seeing what the year has to offer and we want the children to have the best year before they transition to up secondary school. 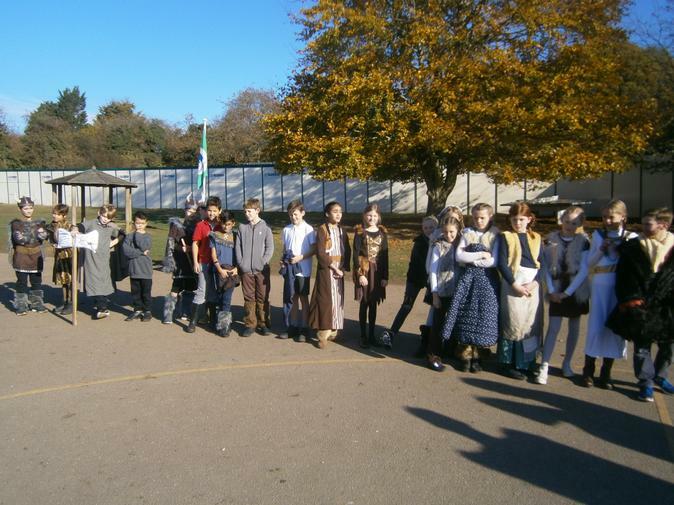 Here are the two Year 6 classes dressed up for Dahlicious Day! 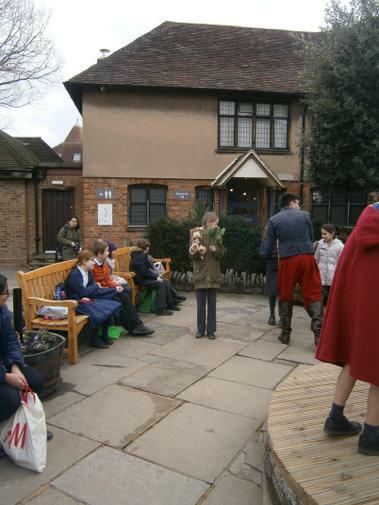 We break up for the Easter holidays on Friday 5th April at the earlier time of 2:15. 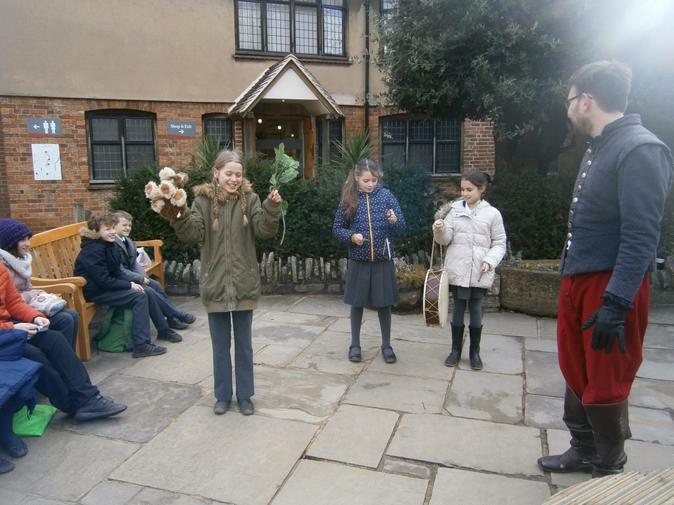 Have a fantastic Easter break. 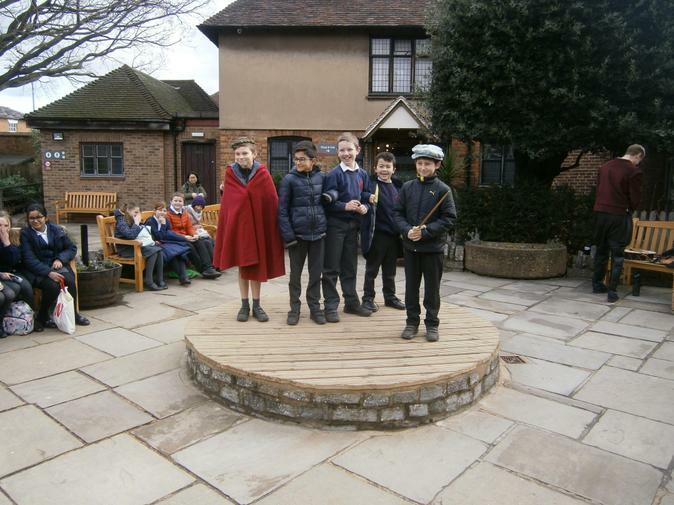 Please note that we return to school on Wednesday 24th April. 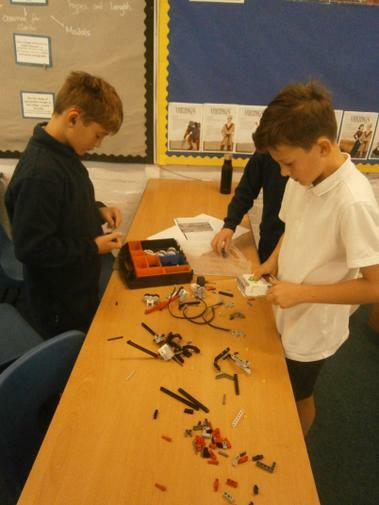 Production club starts on Tuesday 21st May 3:15-4:15 in the hall. 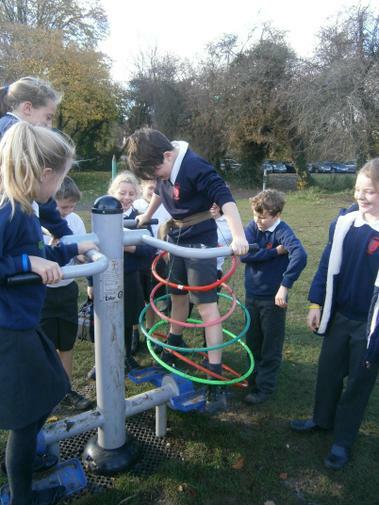 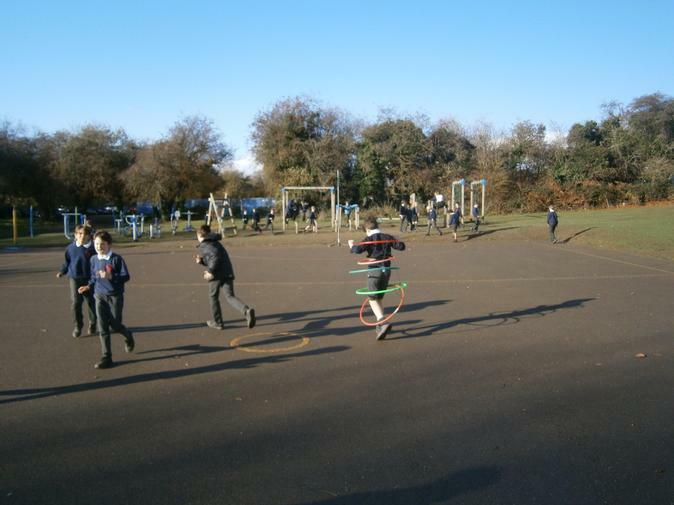 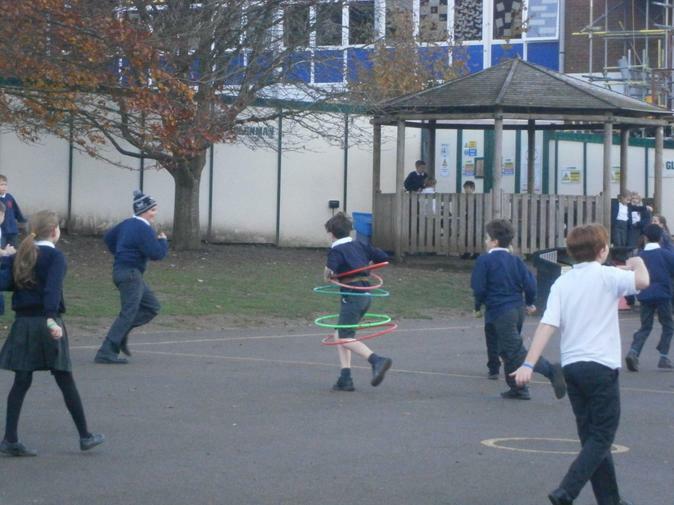 This will run every Tuesday and every Year 6 child is to attend. 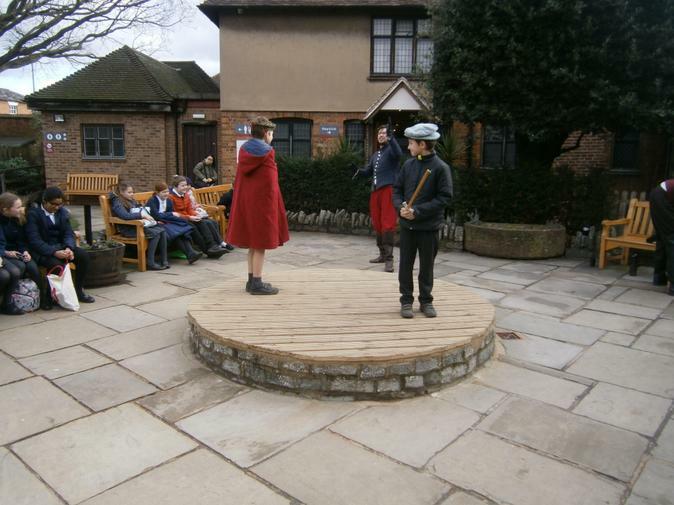 On Friday 24th May we break up at normal time for half term. 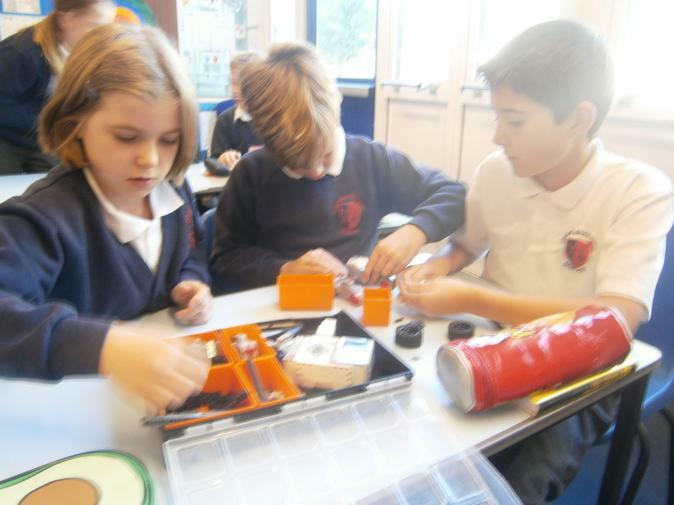 Monday 3rd June is INSET day so children return to school on Tuesday 4th June. 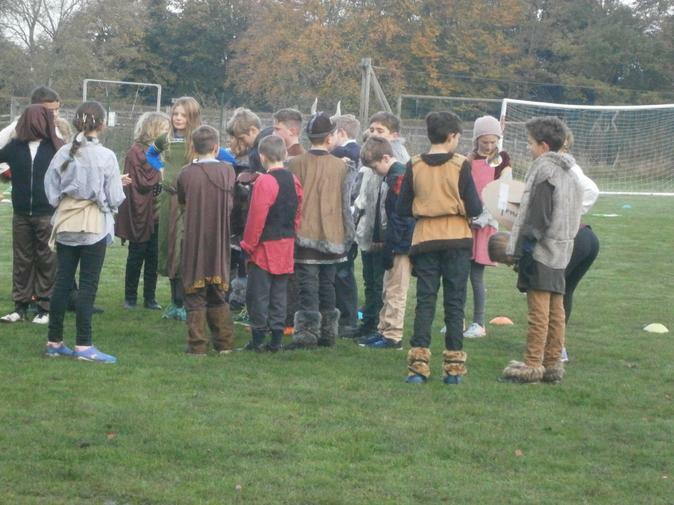 Week commencing Monday 10th June is Year 6's residential to the Isle of Wight! 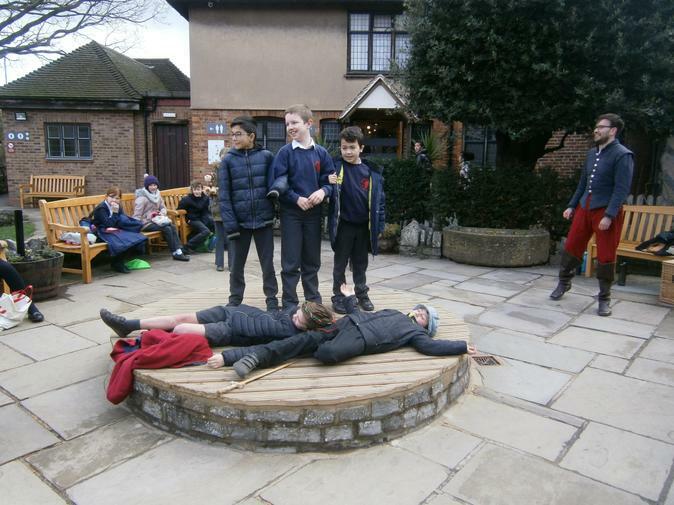 On Tuesday 16th July Year 6 will be going on our annual trip to Chessington World of Adventures! 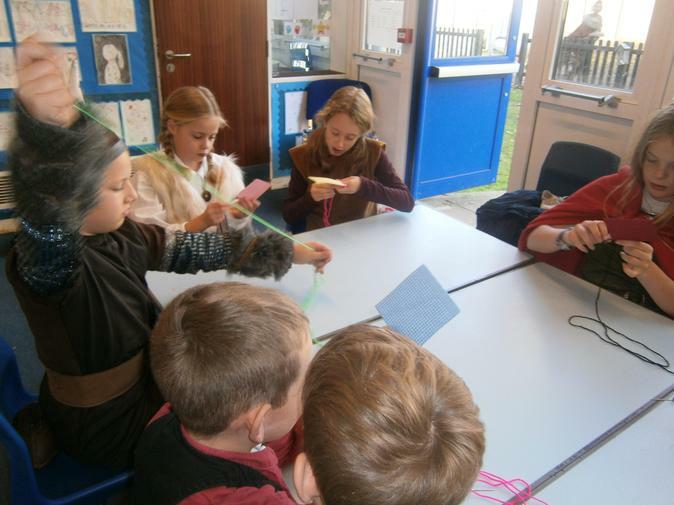 In Year 6, we would like the children to be reading everyday for minimum of 10 minutes. 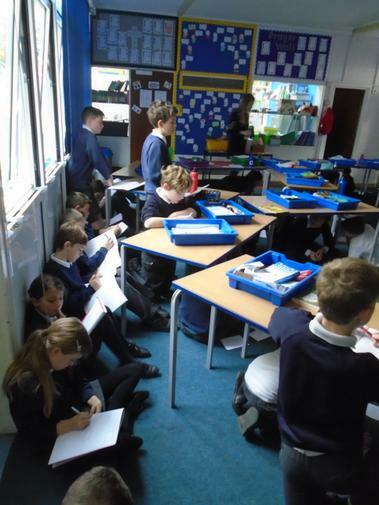 They are required to record at least 5 of their reading sessions in their reading record a week (this must cover 5 separate dates). 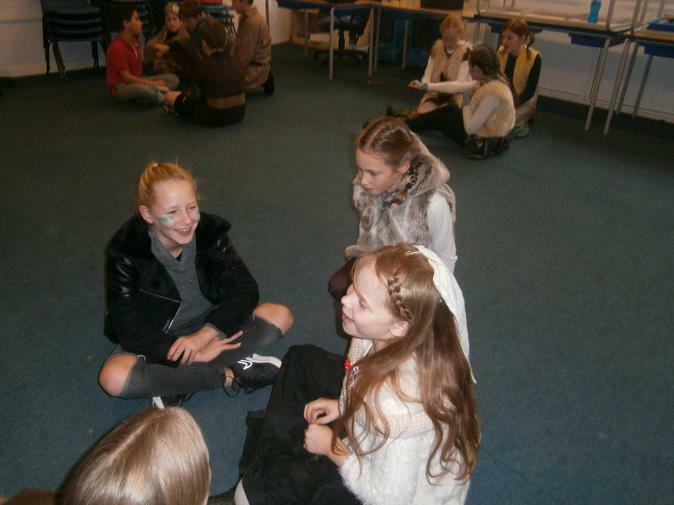 Across the school, but particularly in Year 6, there is a comprehension focus on children's reading. 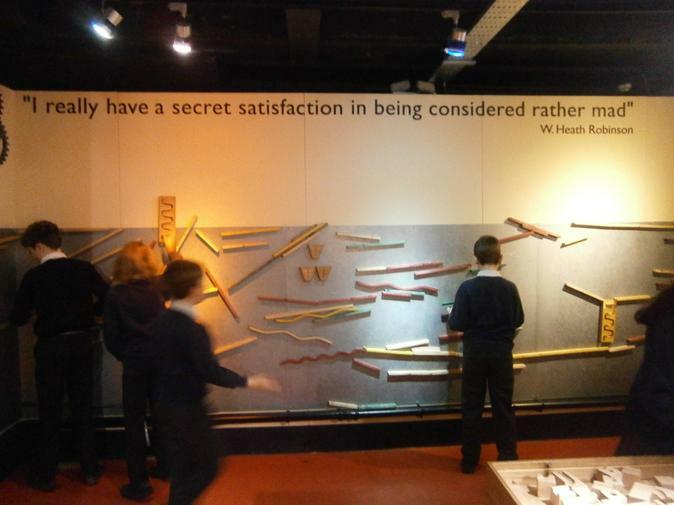 On occasion, please read with your children and question them on what they have read and understood about their book. 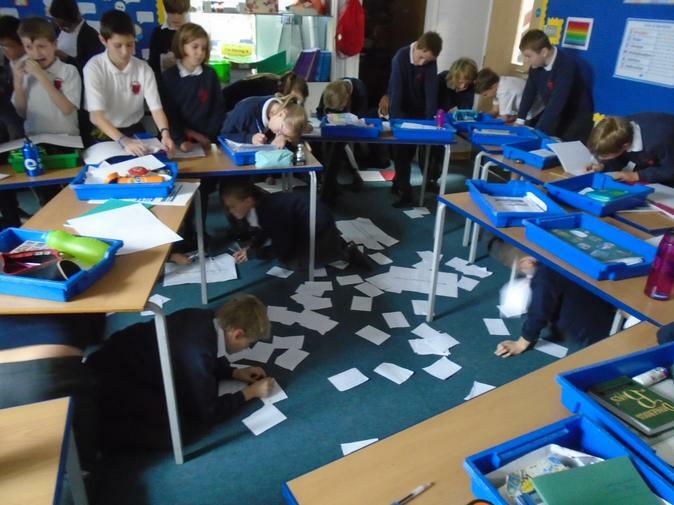 Reading records will be collected and checked each week on Tuesdays. 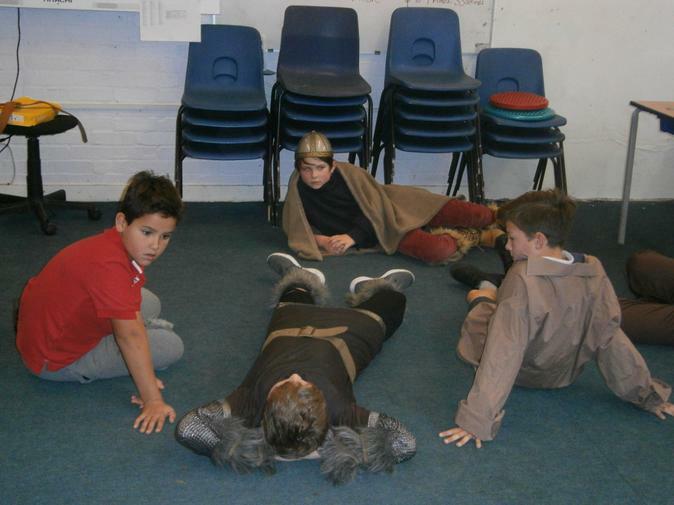 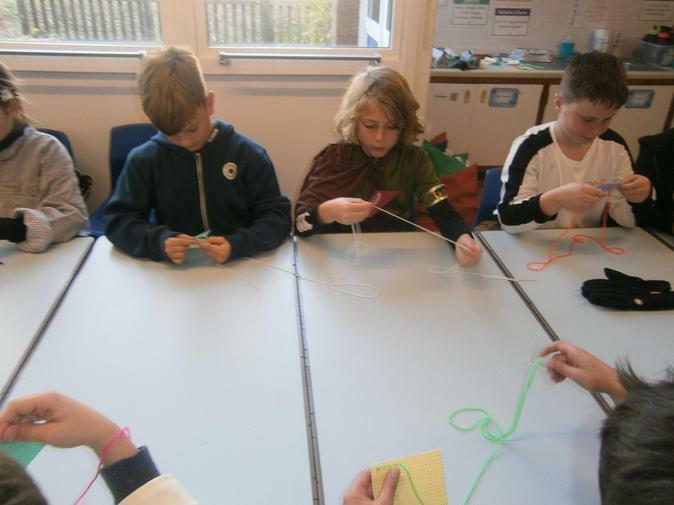 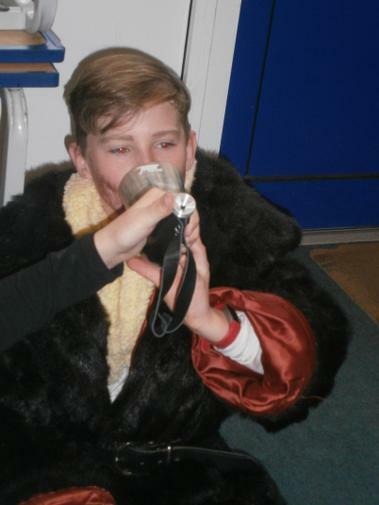 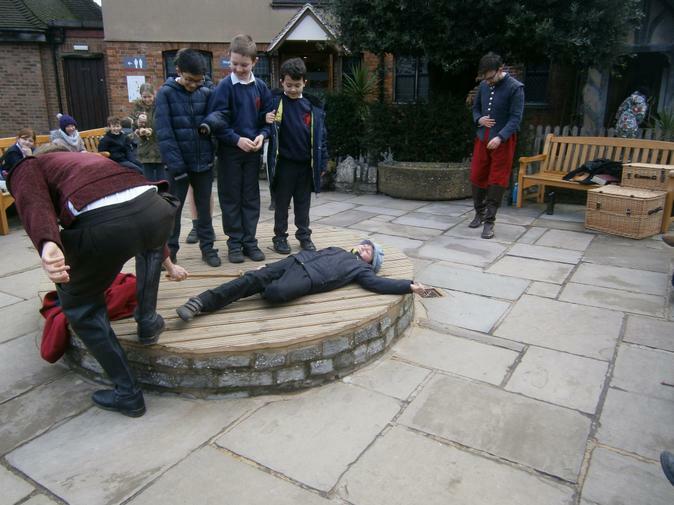 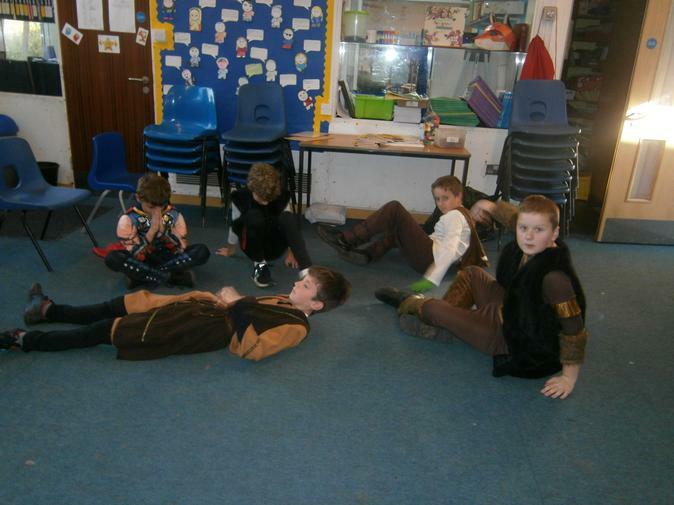 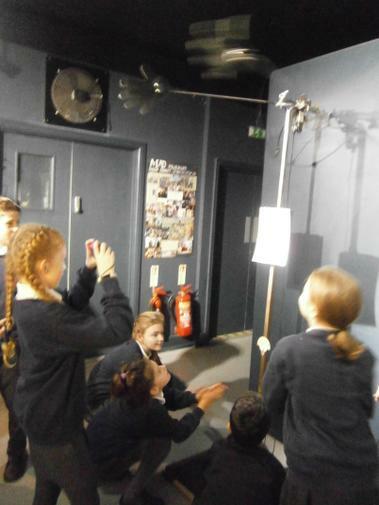 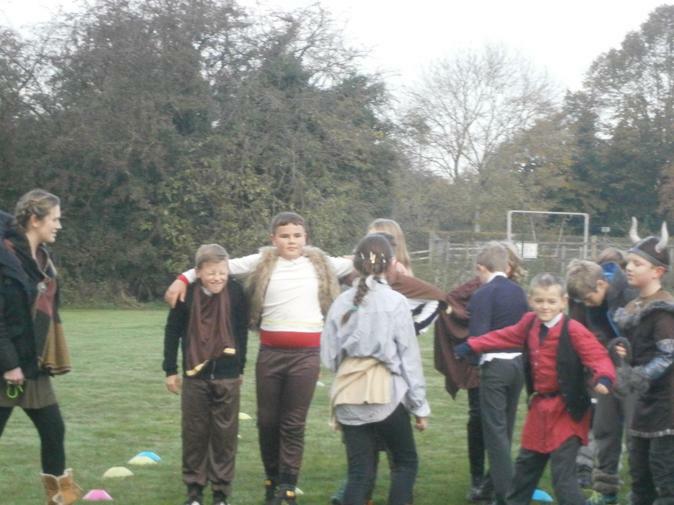 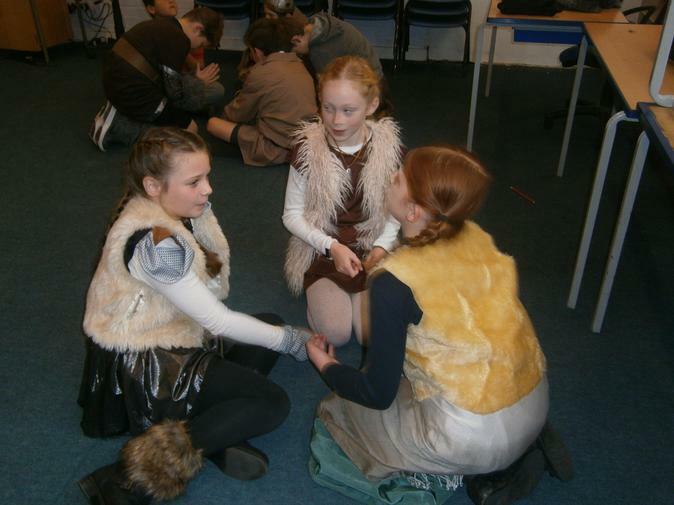 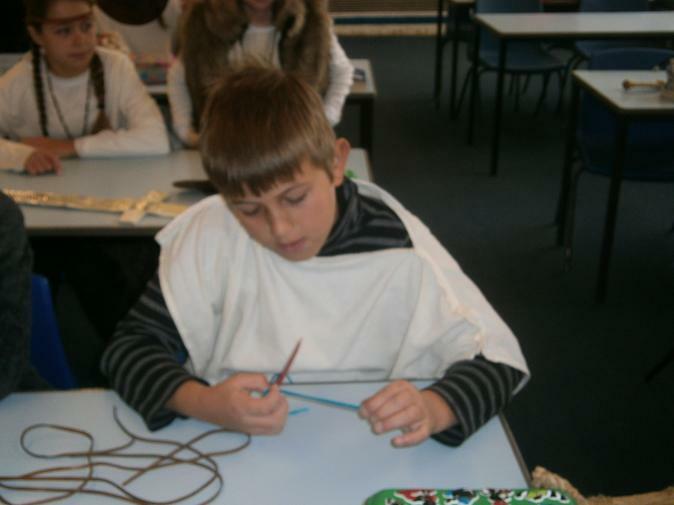 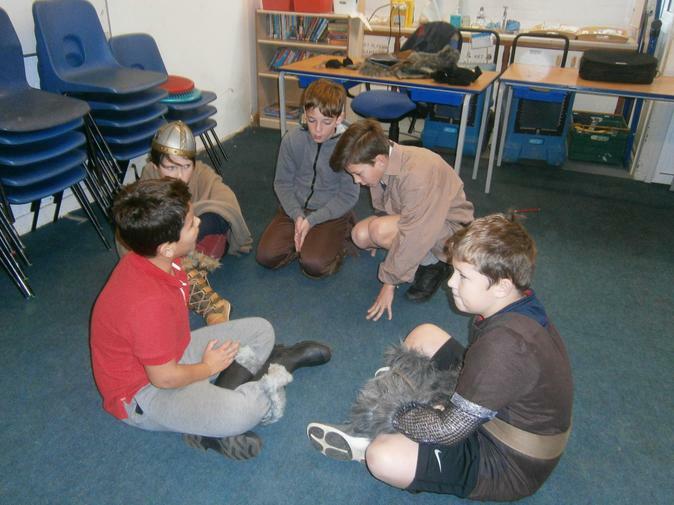 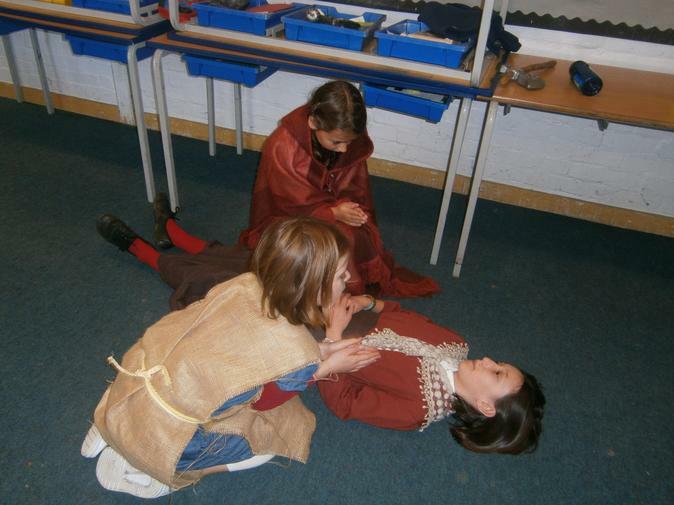 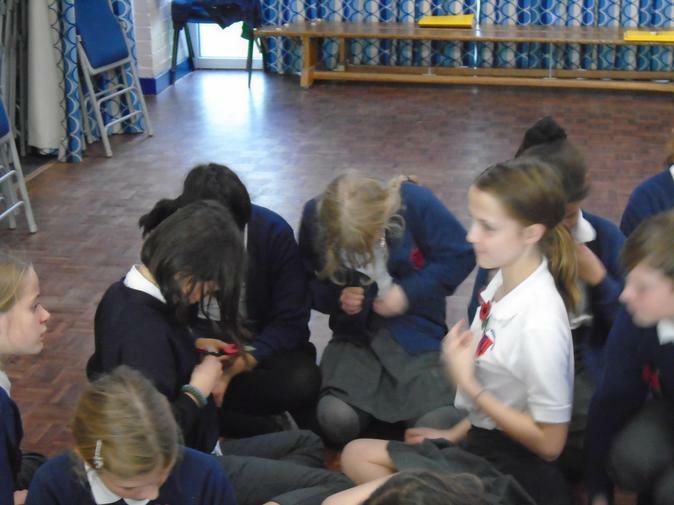 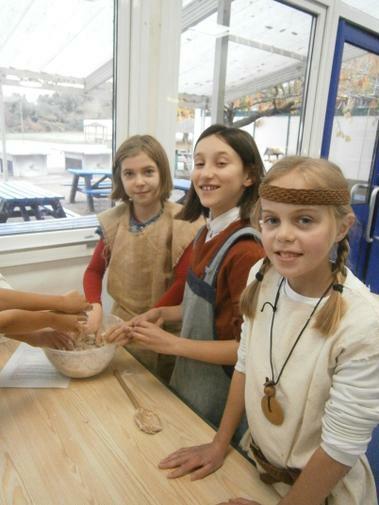 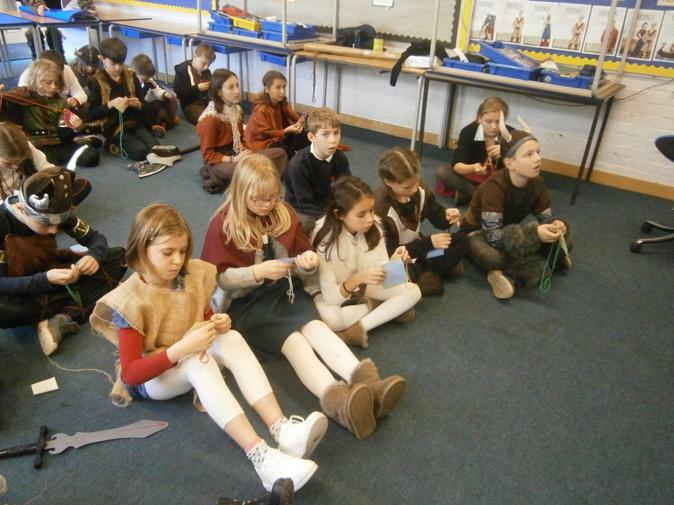 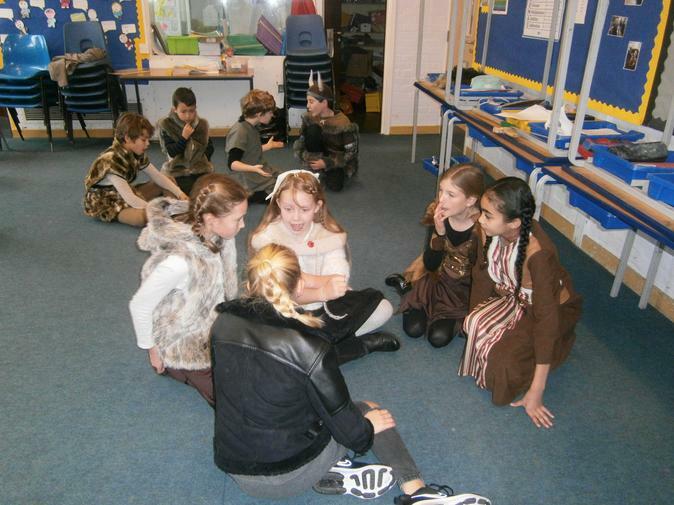 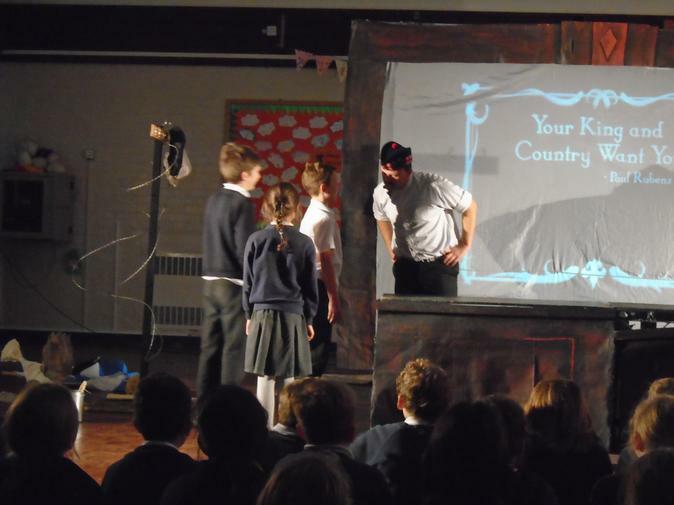 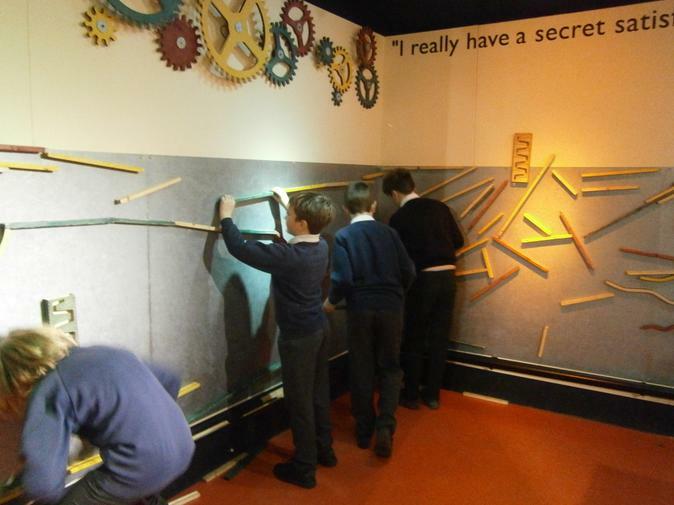 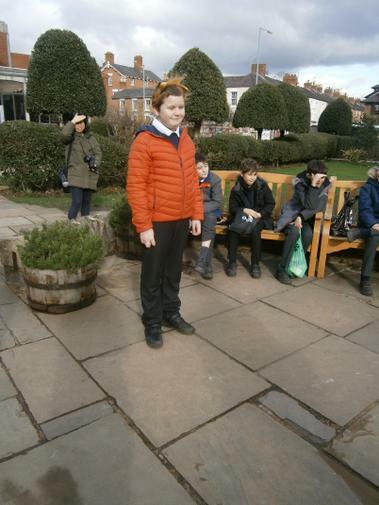 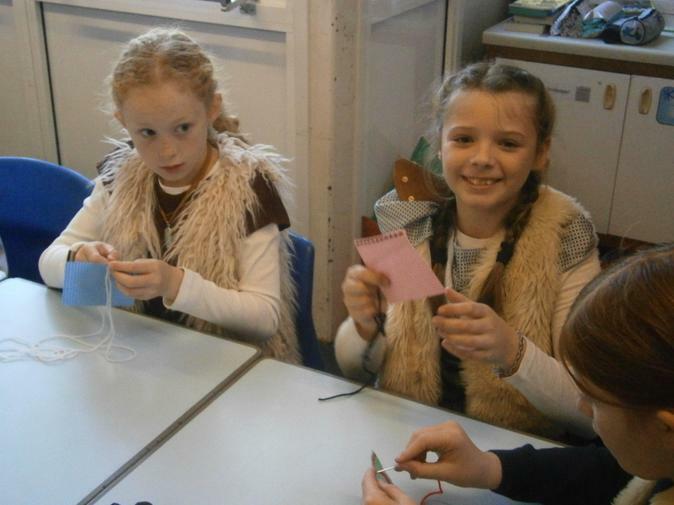 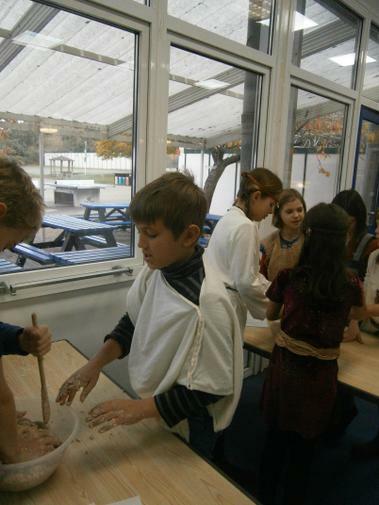 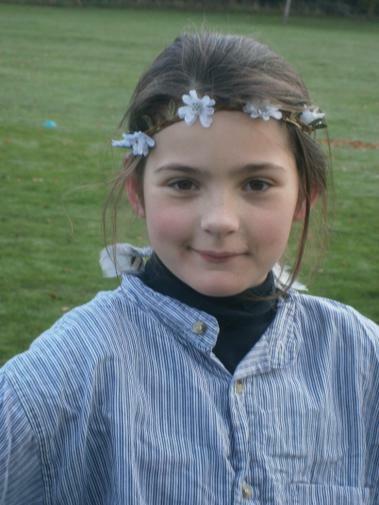 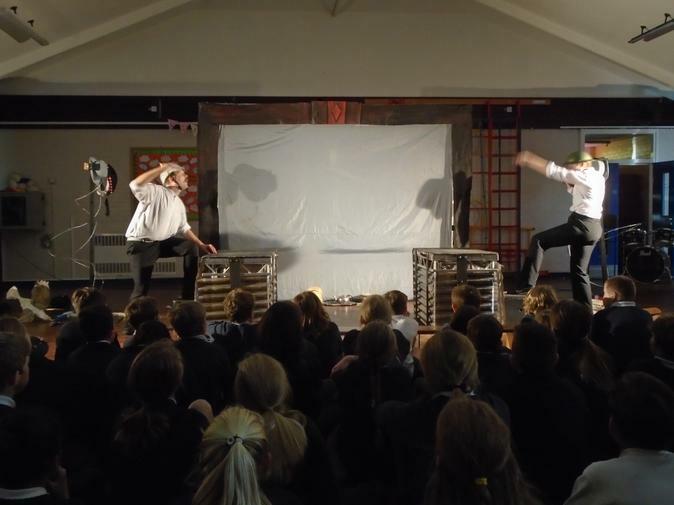 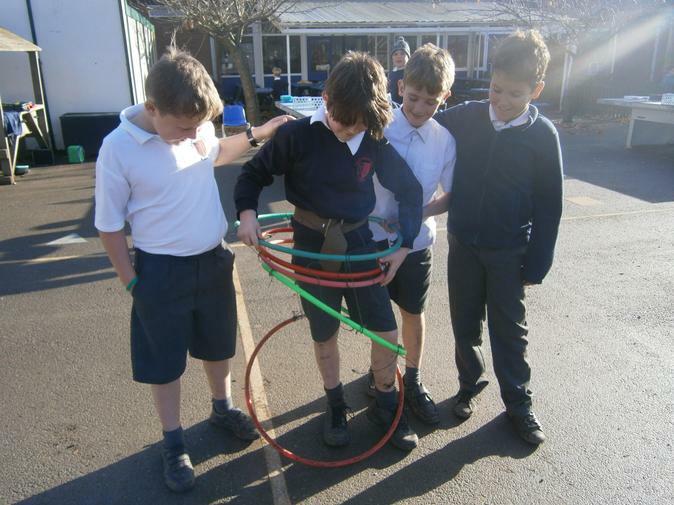 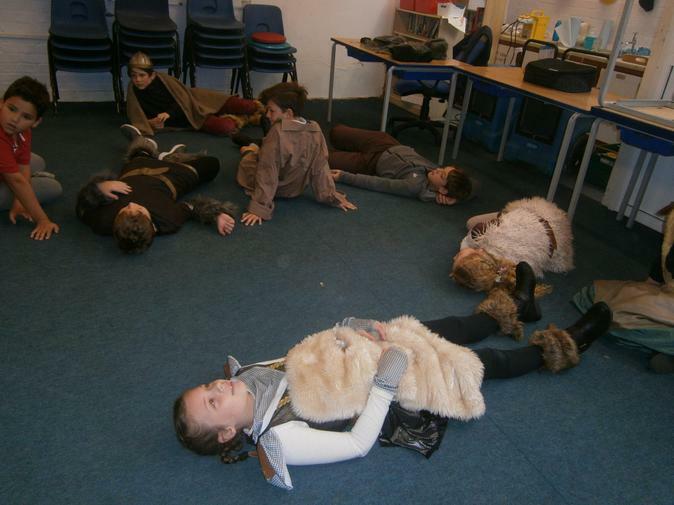 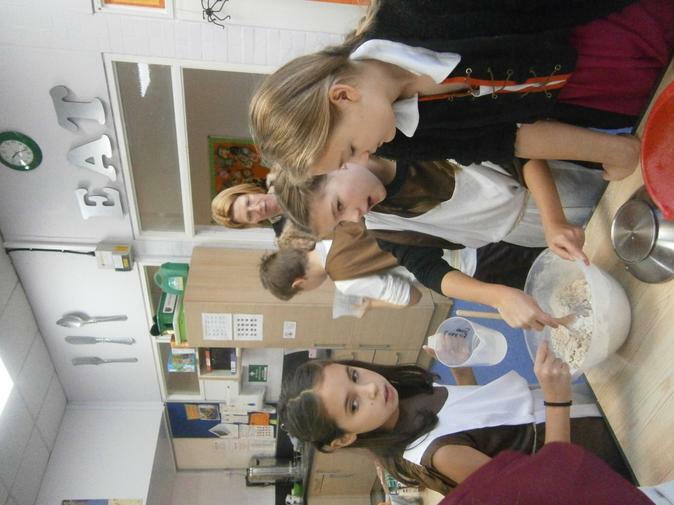 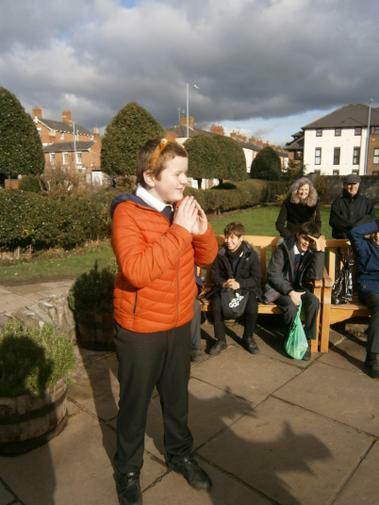 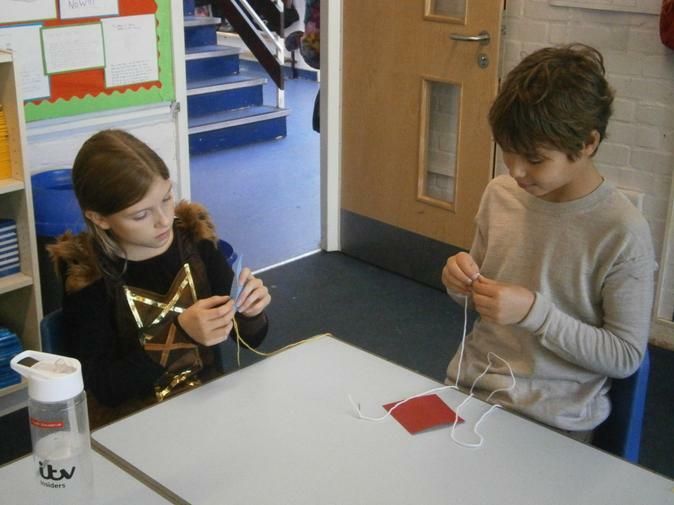 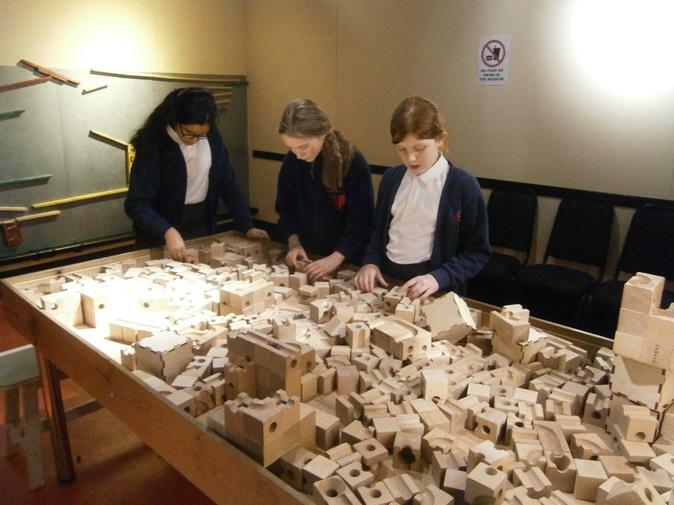 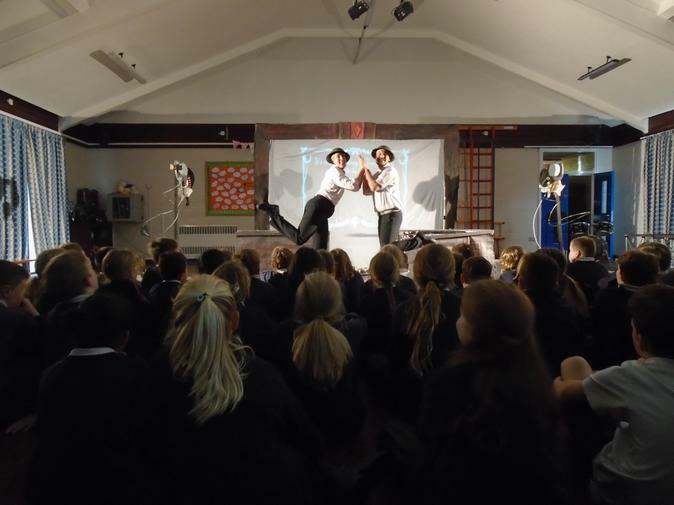 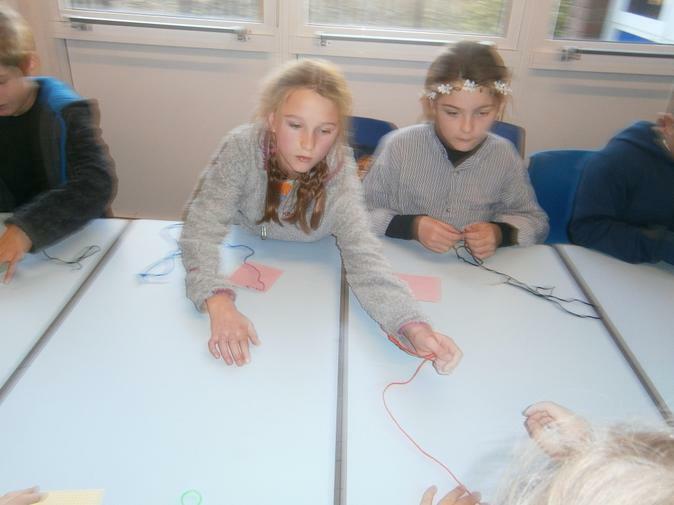 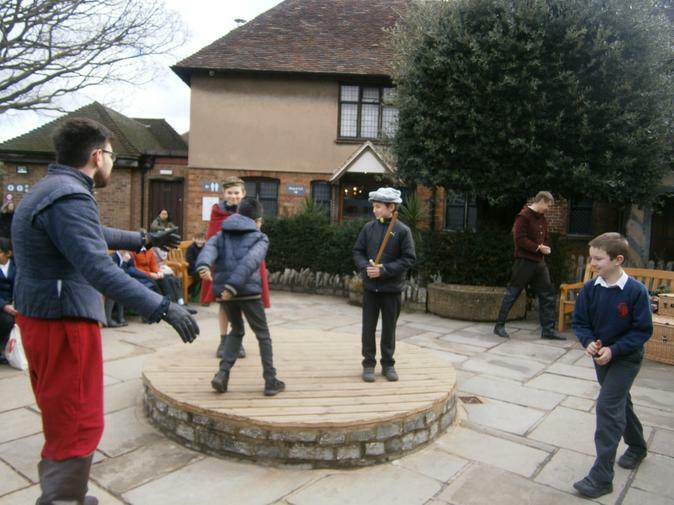 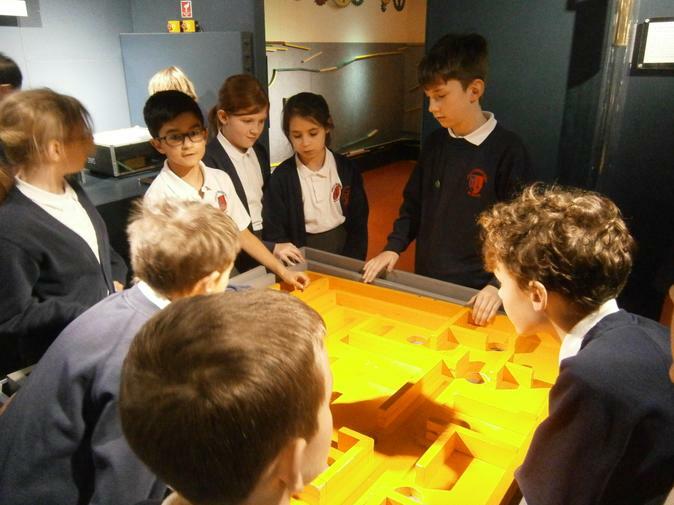 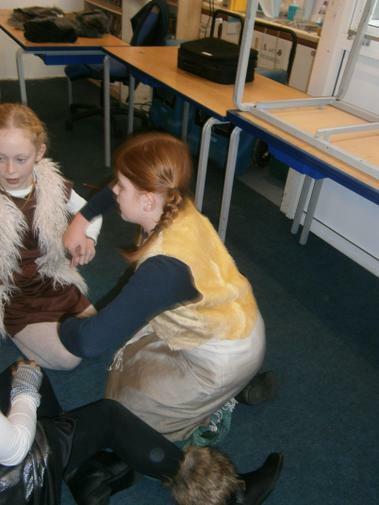 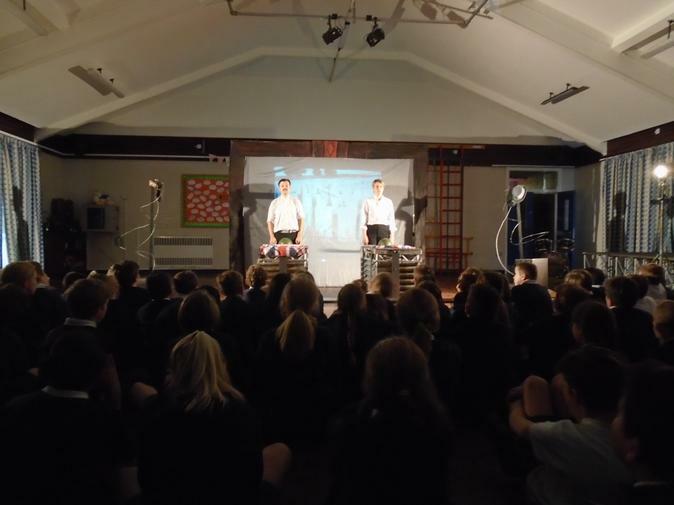 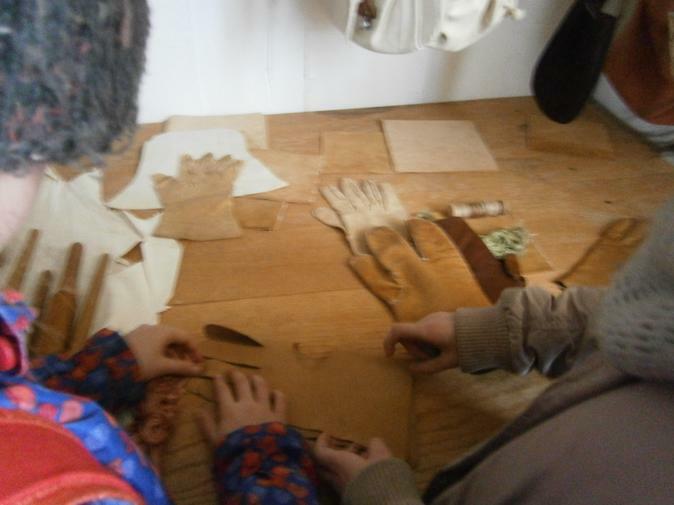 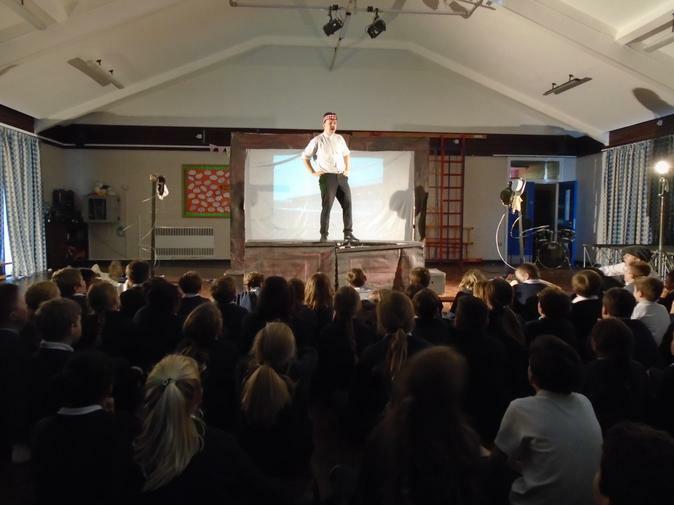 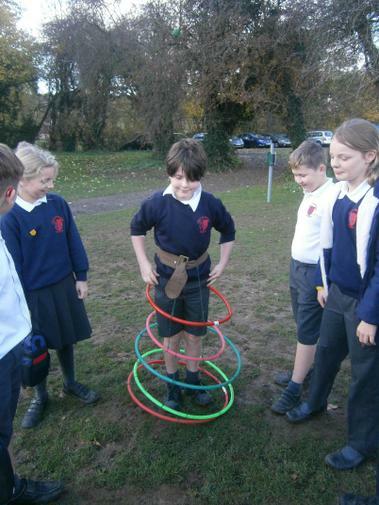 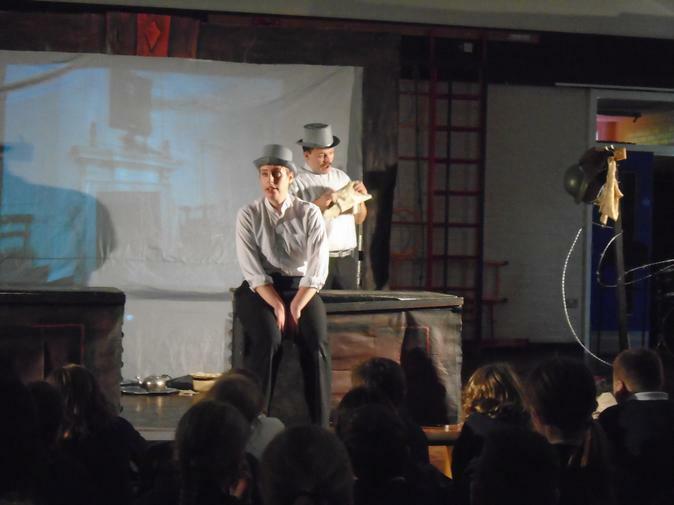 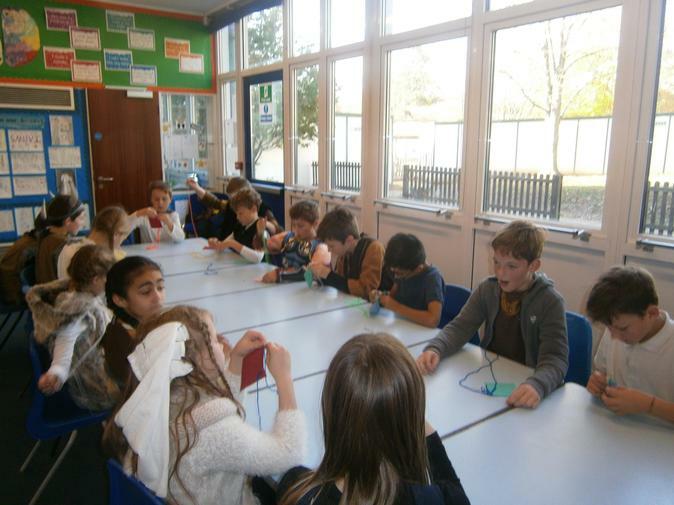 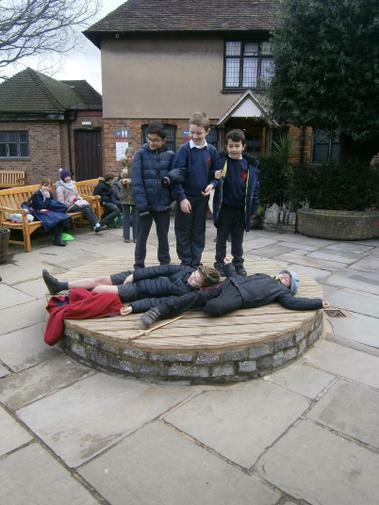 On Monday 11th February Year 6 children and adults travelled up to Stratford-Upon-Avon. 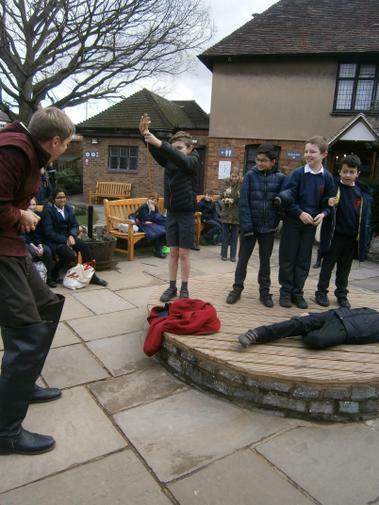 We visited Shakespeare's birth place, this was a great opportunity to gain more knowledge about Shakespeare in line with what we have been studying in topic this half term. 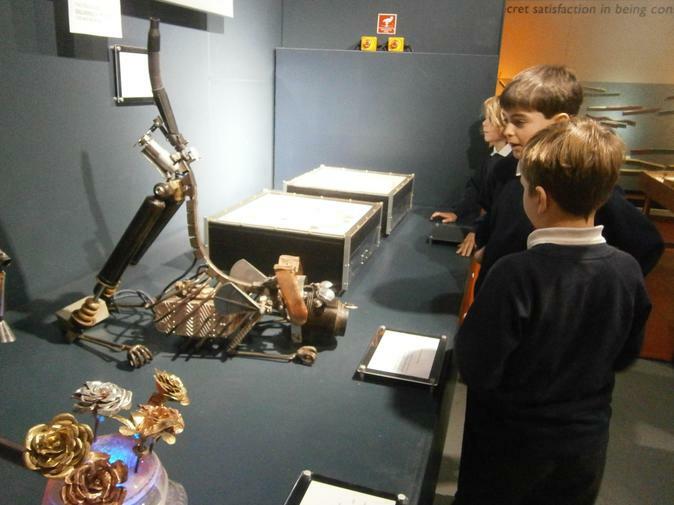 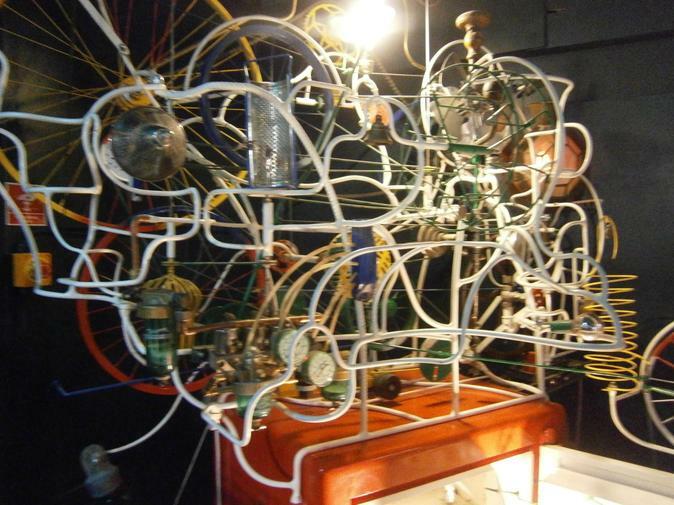 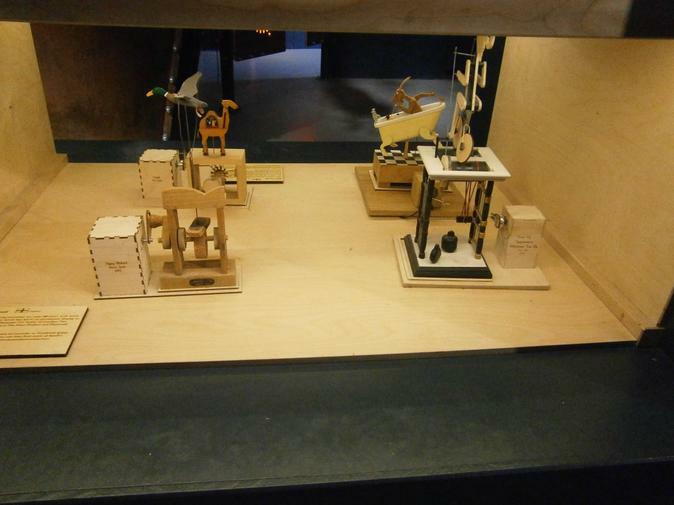 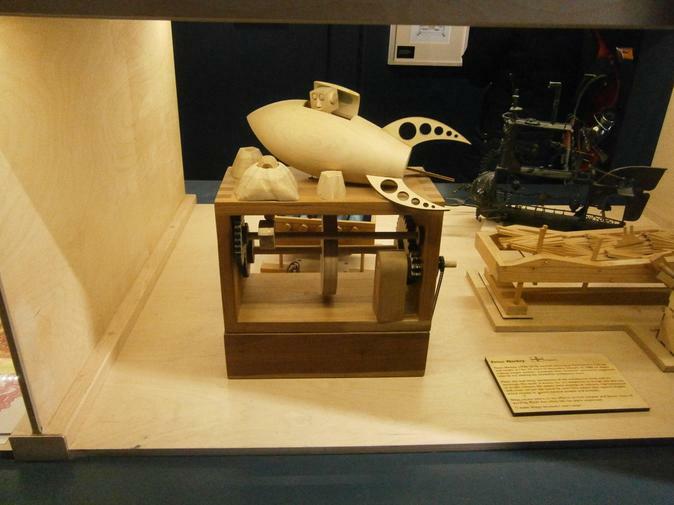 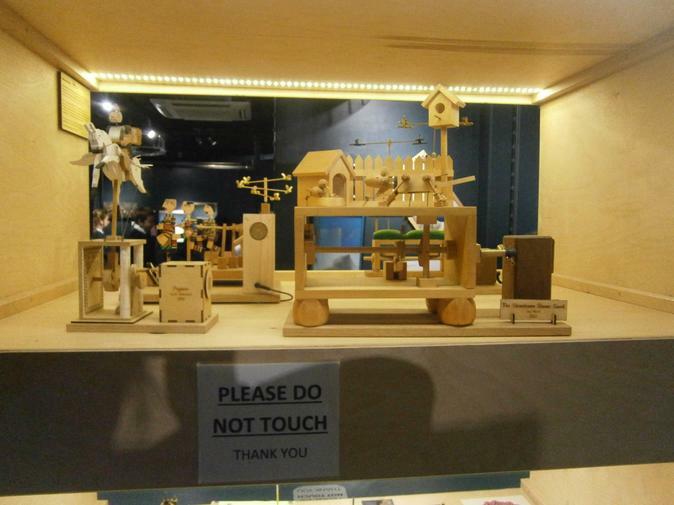 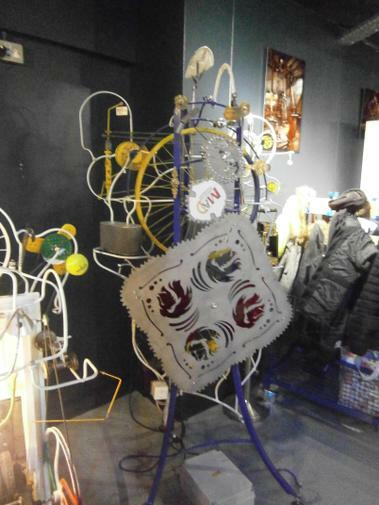 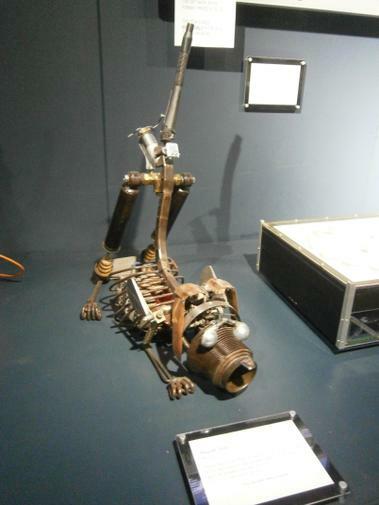 We also visited the MAD (Mechanical Arts and Design) Museum. 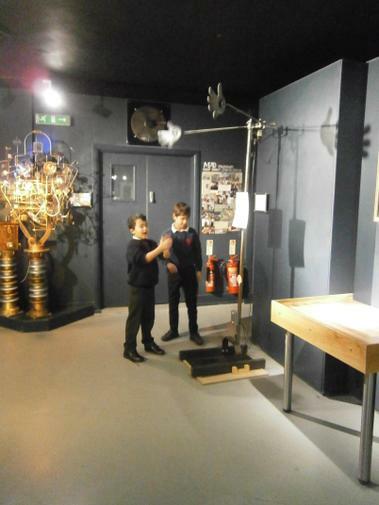 This museum was so much fun and everyone loved it! 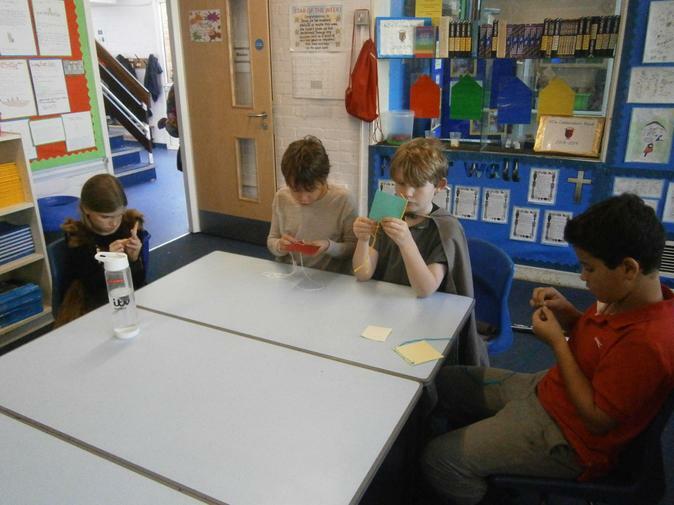 It gave us lots of ideas for our CAM projects in DT next half term. 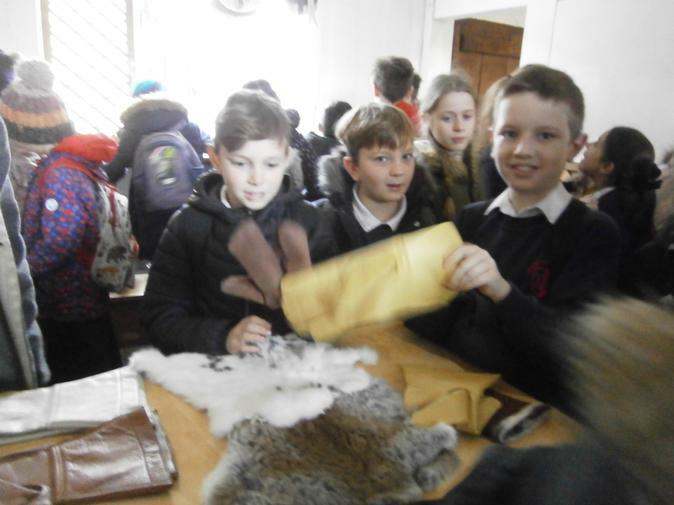 What a great day and thank you to all of the adults that went on the trip with us. 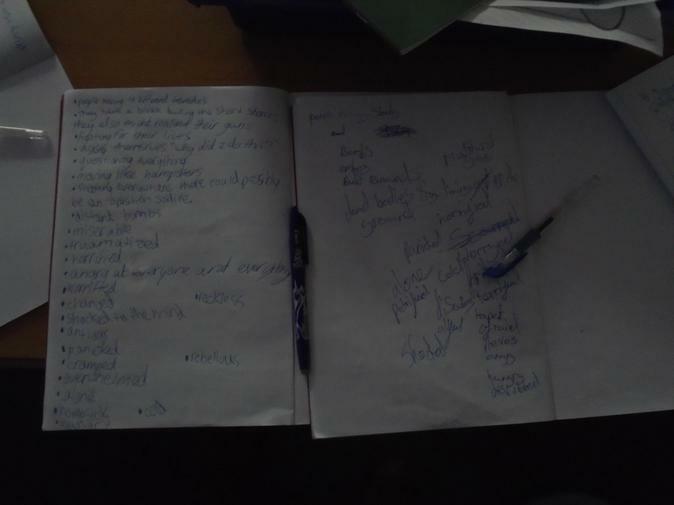 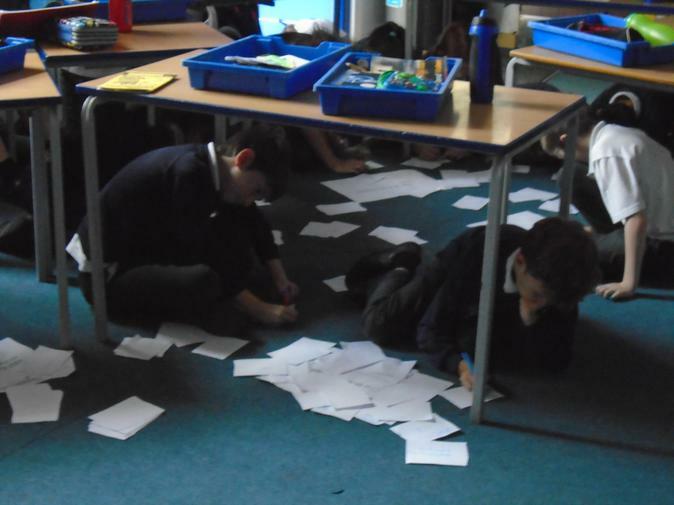 In the weeks leading up to Safer Internet Day (5th February) 6C worked in groups to plan online safety lessons for the younger years. 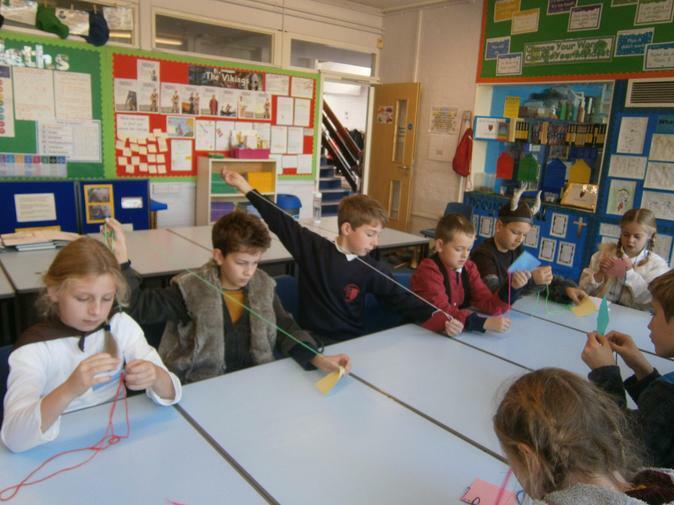 On this day, they taught the lessons to Key Stage 1 and lower Key Stage 2. 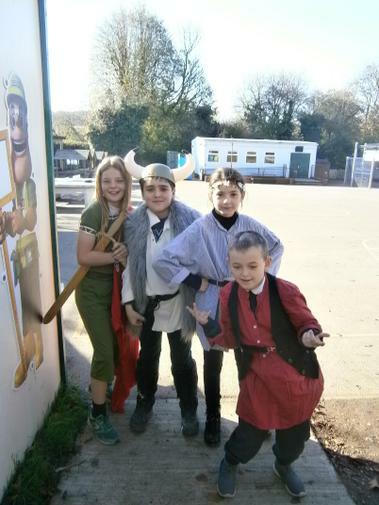 These were fantastically planned and delivered so well, I am very proud of every child who worked so hard to create a fun and creative lesson. 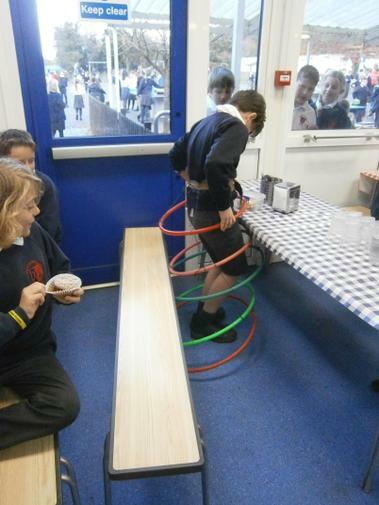 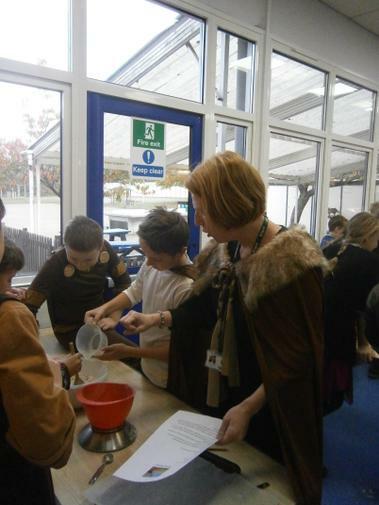 We had lots of positive feedback from both teachers and children. 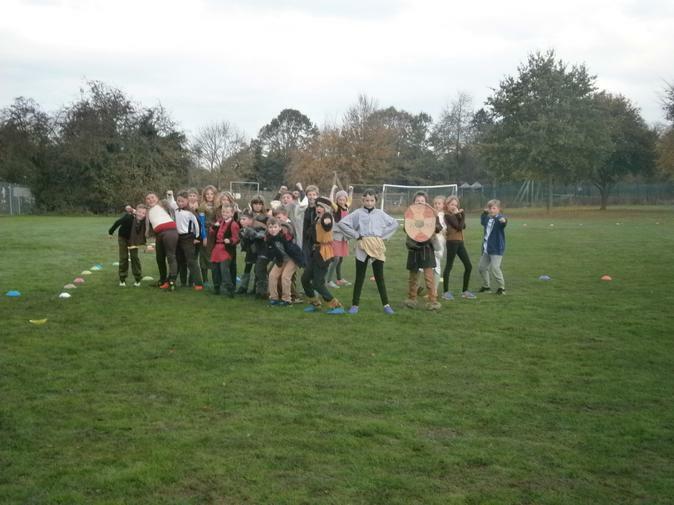 Well done 6C! 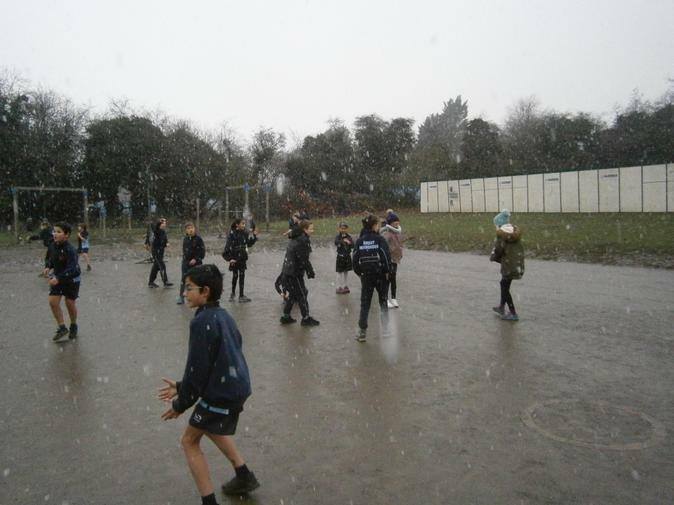 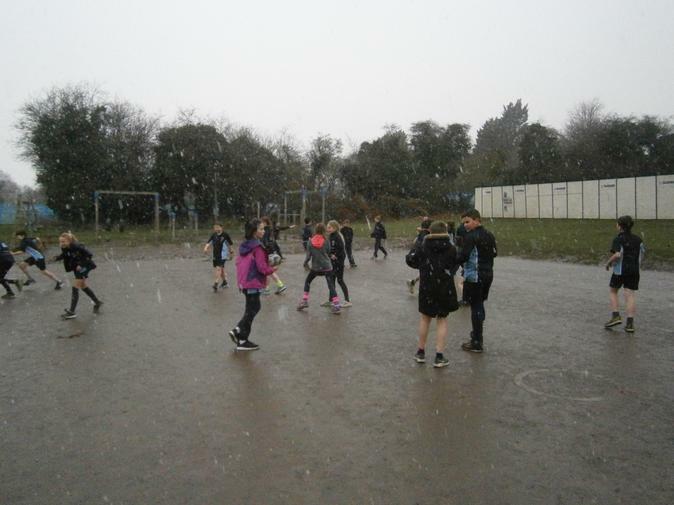 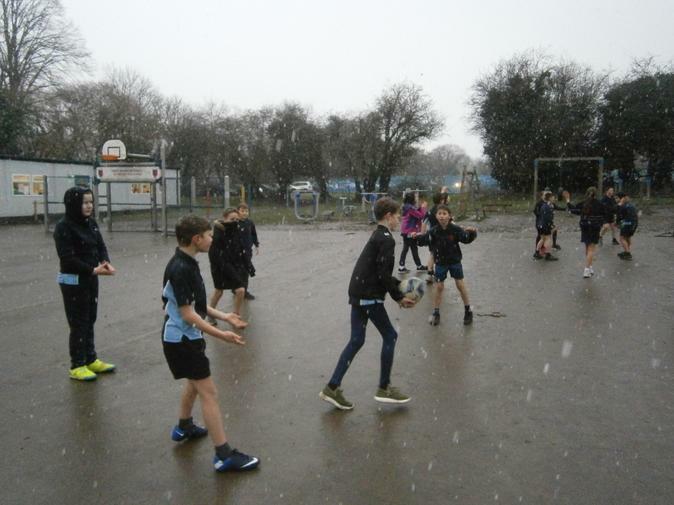 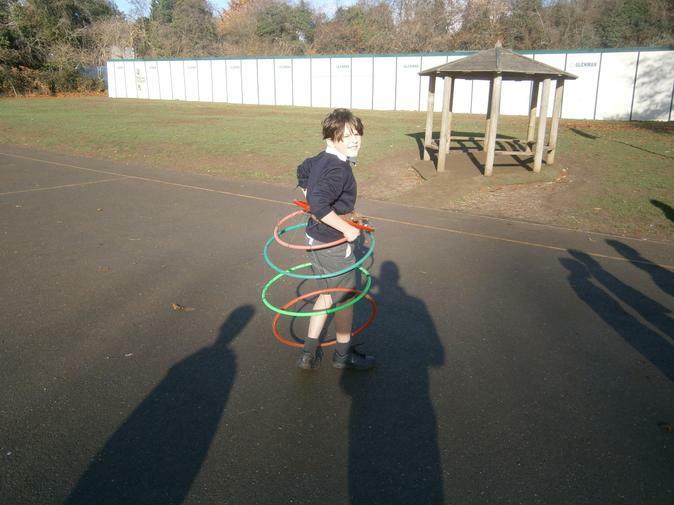 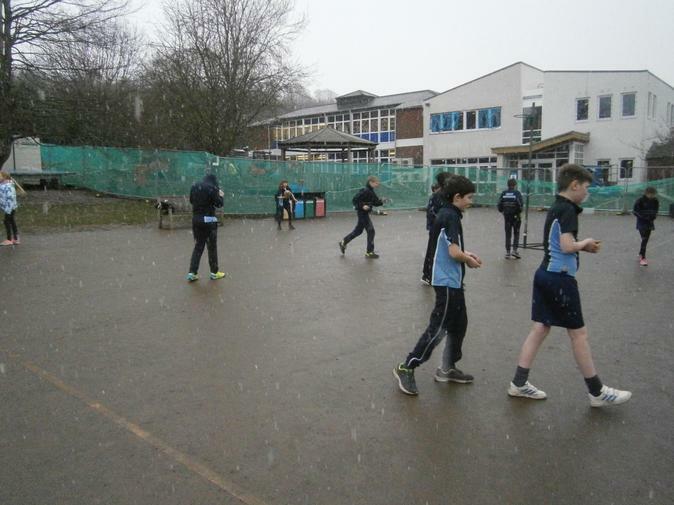 Today we got to do our games lesson in the snow! 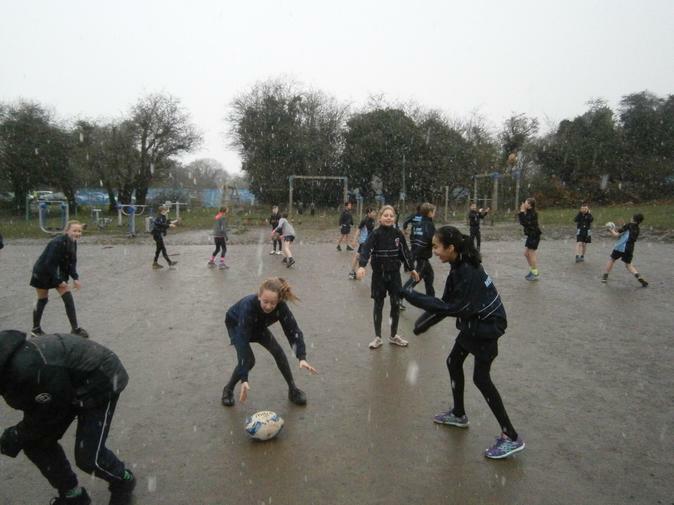 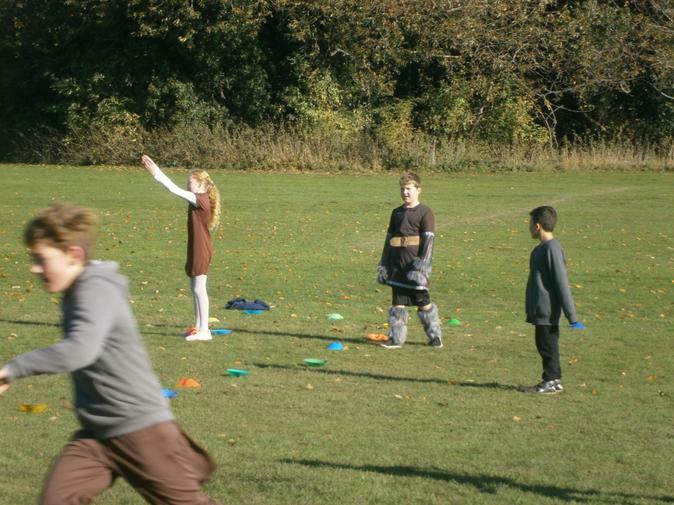 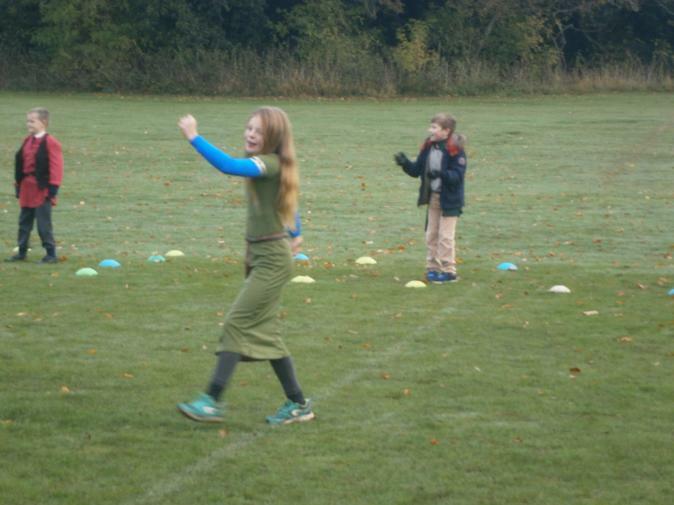 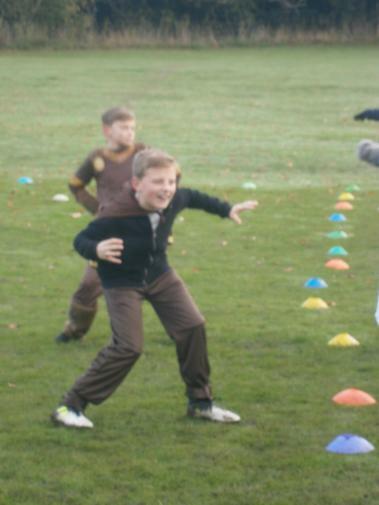 It was cold but was a lot of fun and we got to learn and practise some more rugby skills. 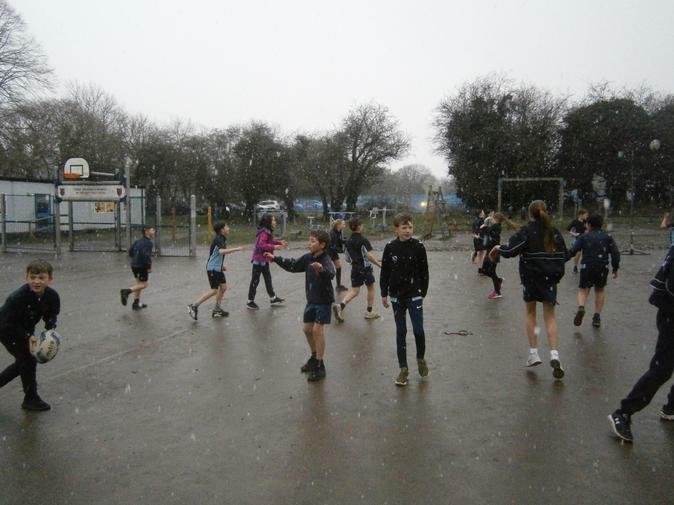 We all, well most of us, still had smiles on our faces by the end! 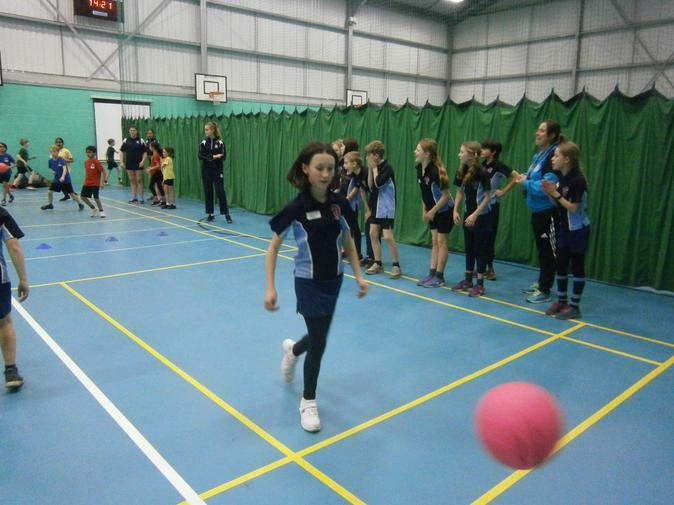 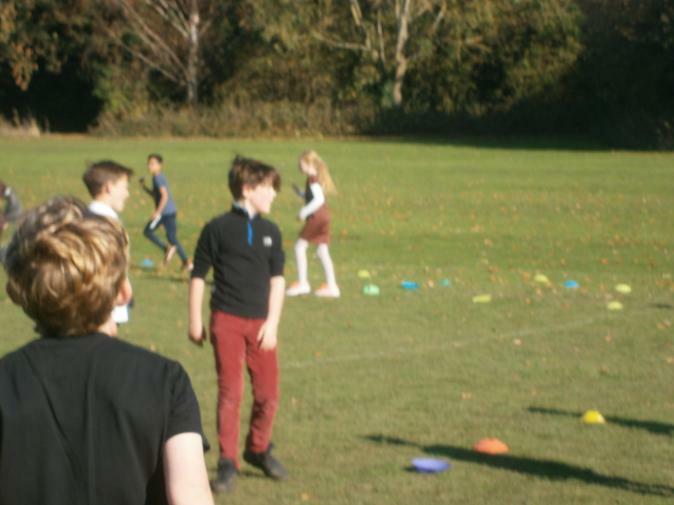 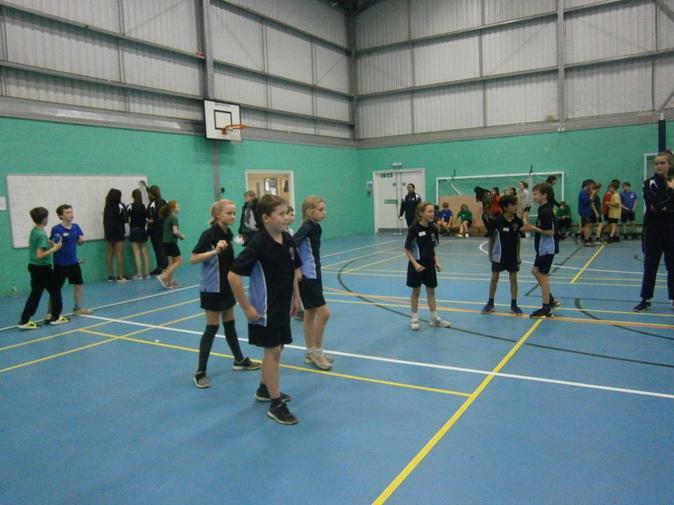 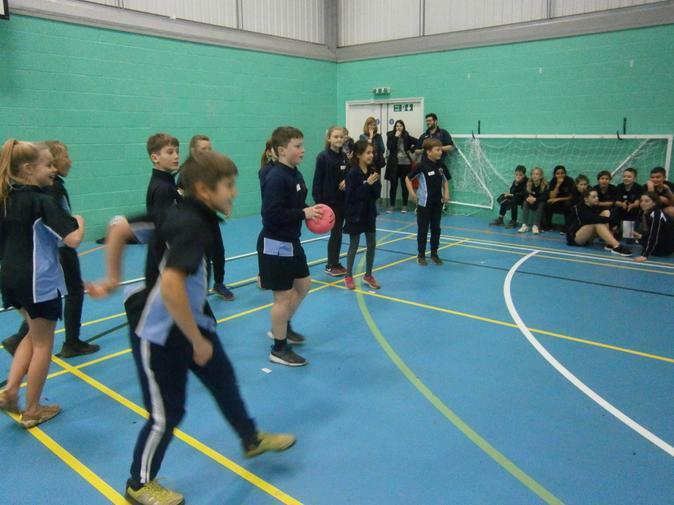 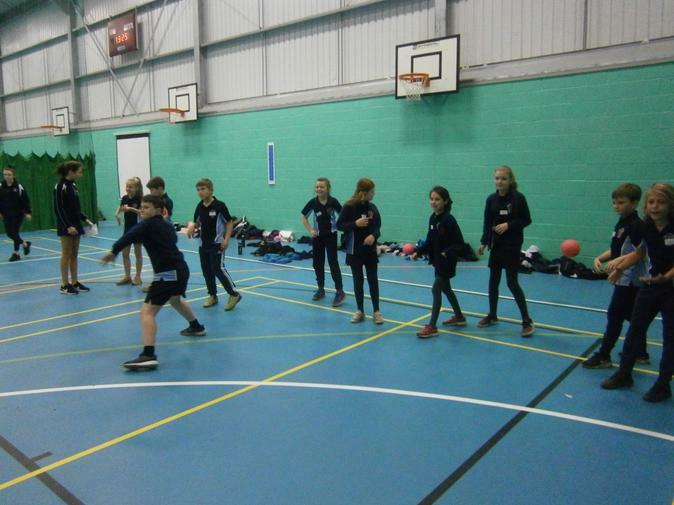 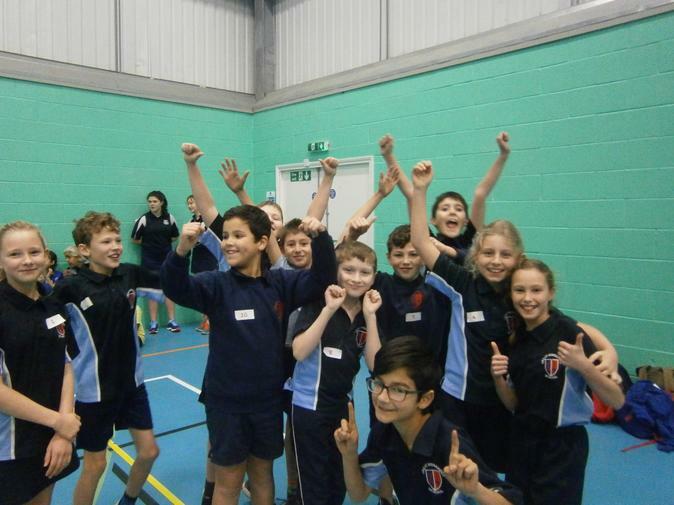 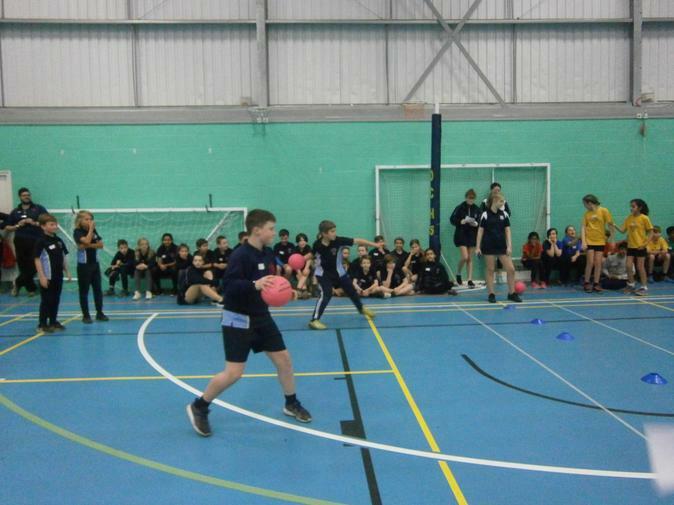 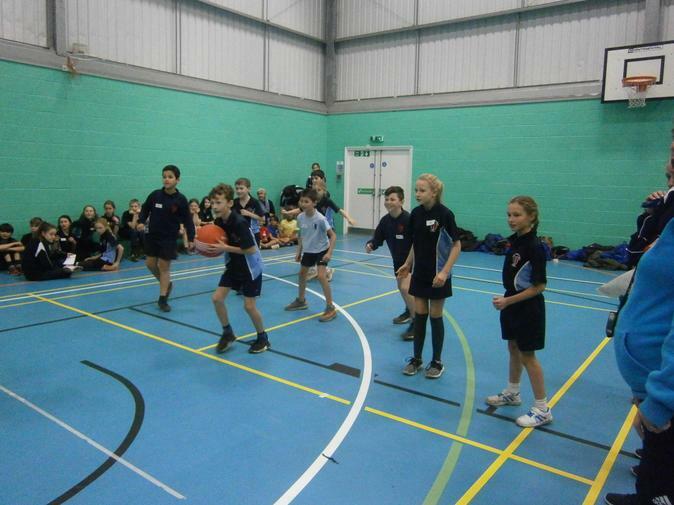 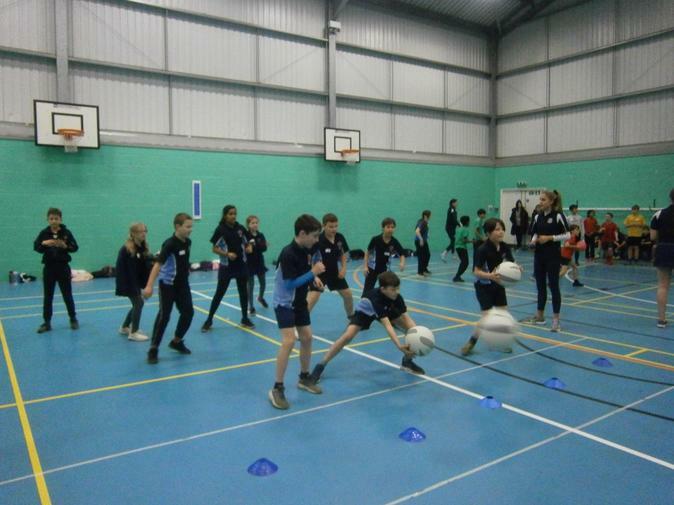 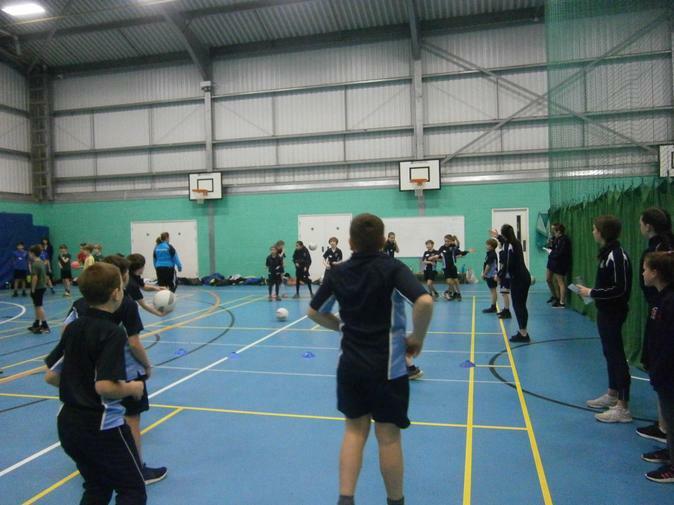 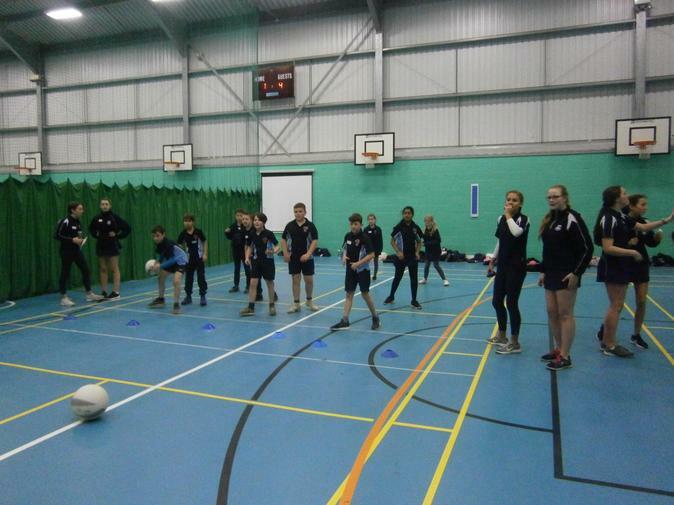 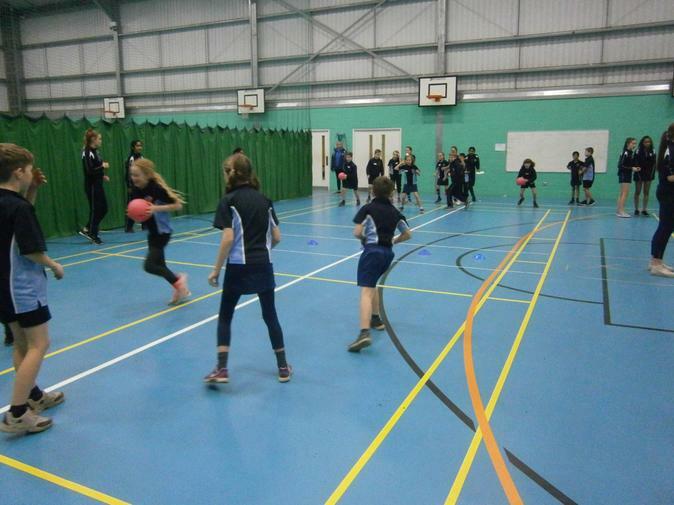 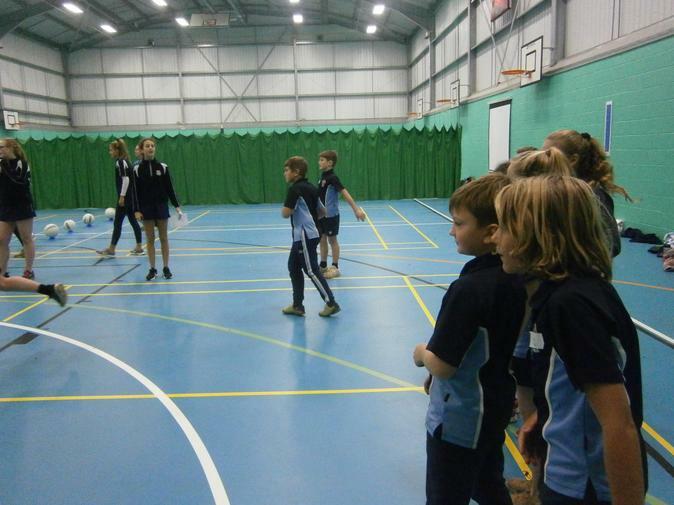 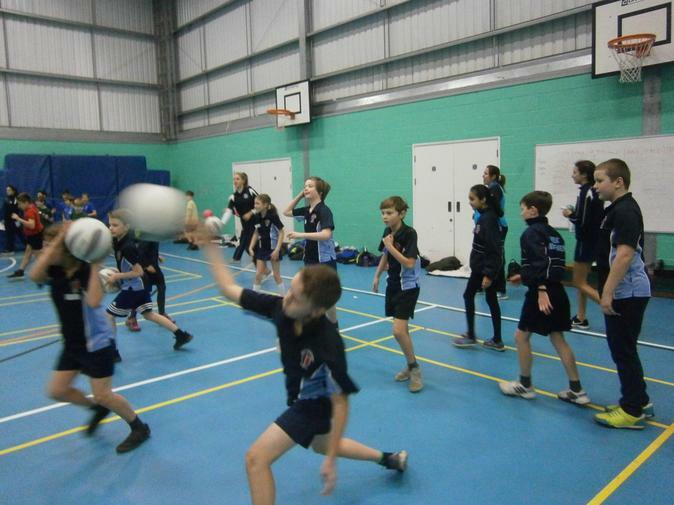 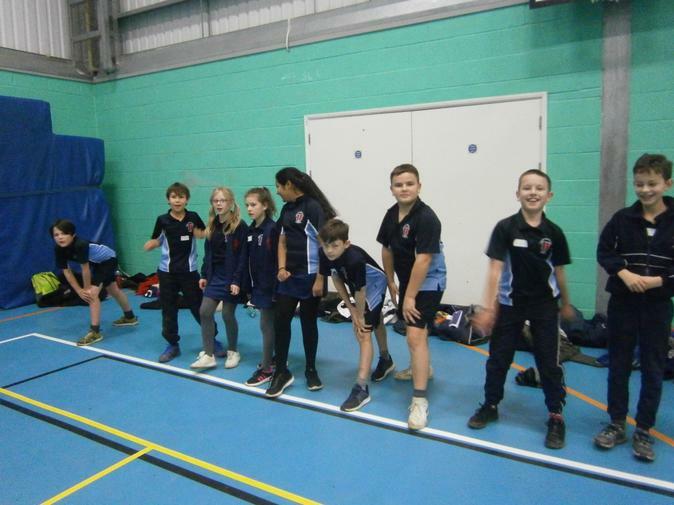 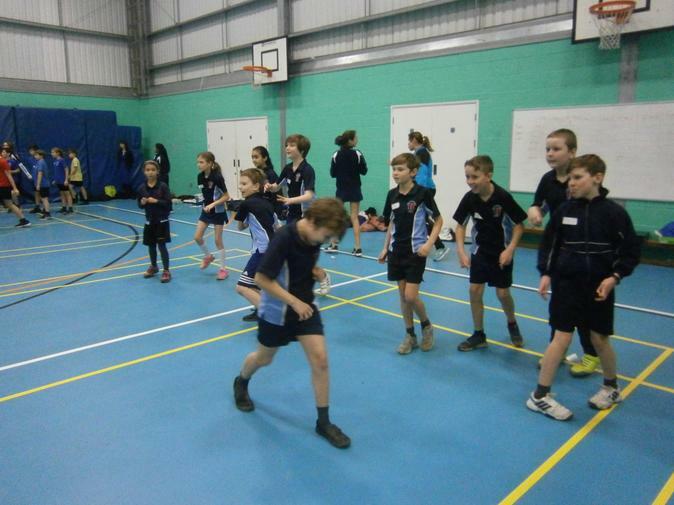 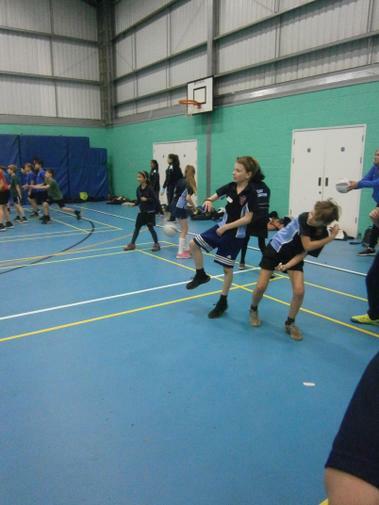 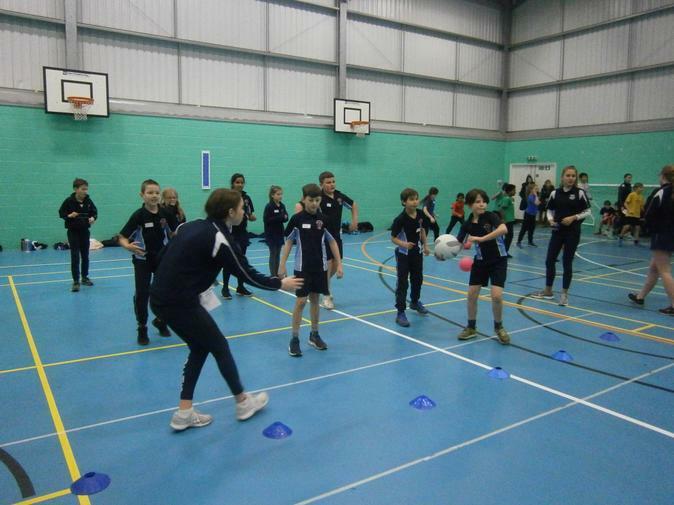 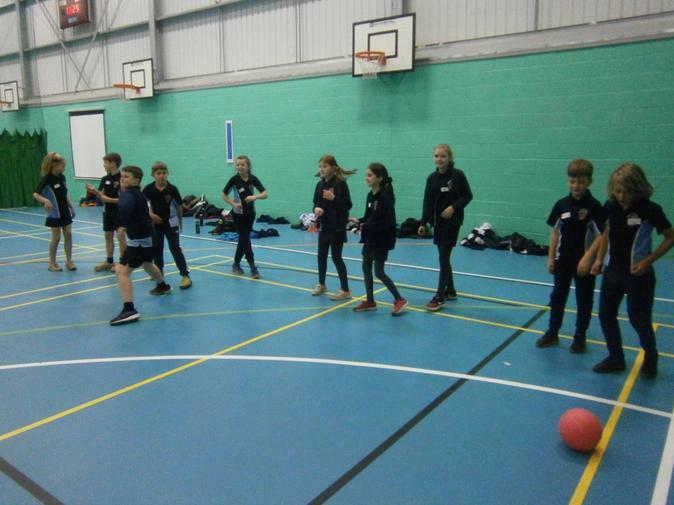 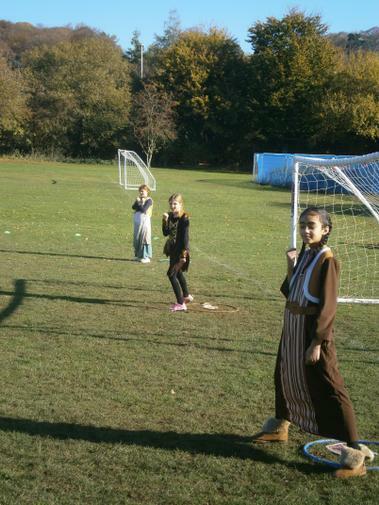 Year 6 had a great afternoon at Challoners High School taking part in a dodgeball tournament on Friday 11th January. 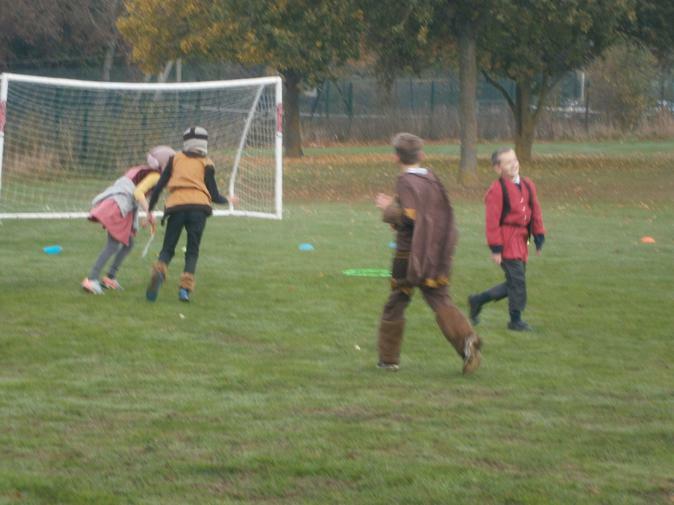 We played against two other schools and every team worked well together and showed a true growth mindset. 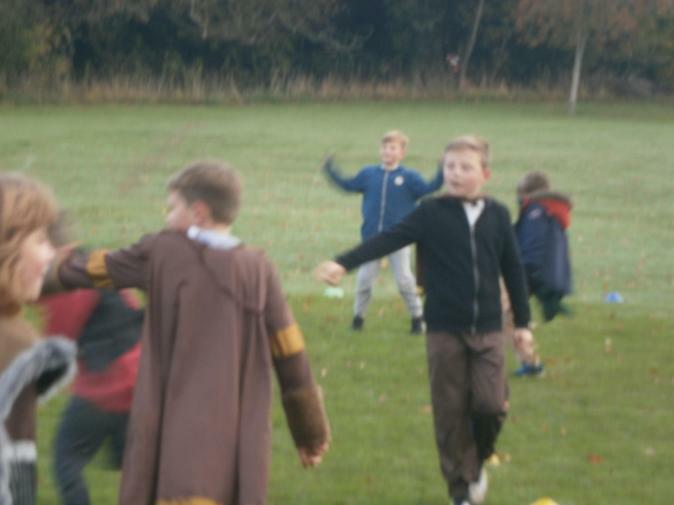 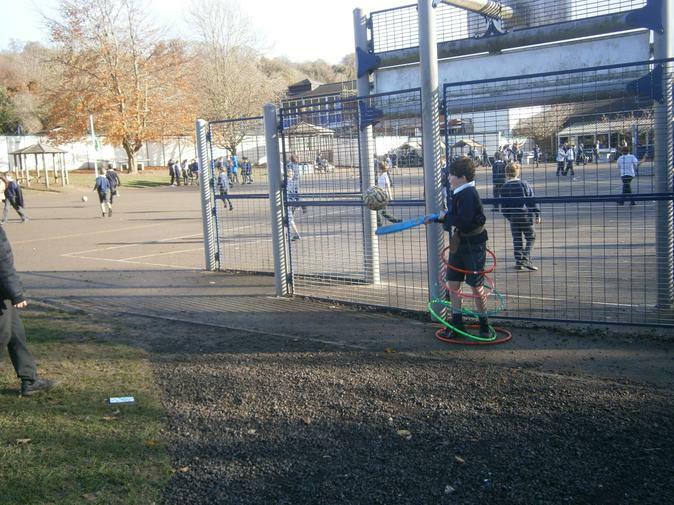 We had great fun throwing balls at each other and dodging the balls! 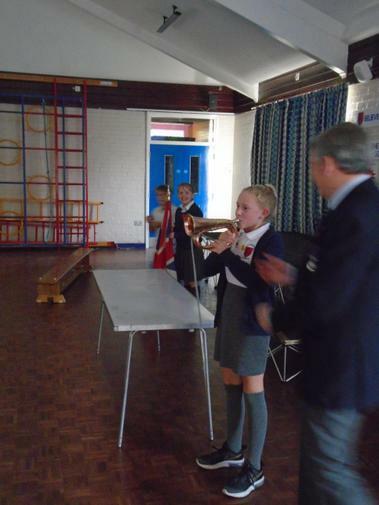 We even won the whole event. 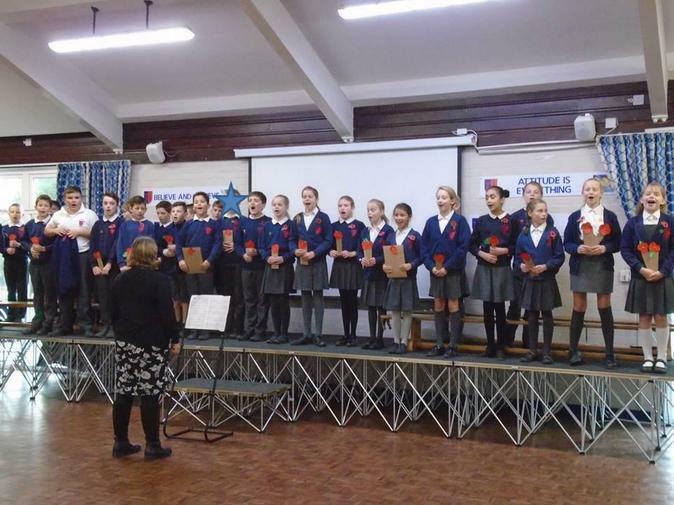 Well done Year 6, you did us proud. 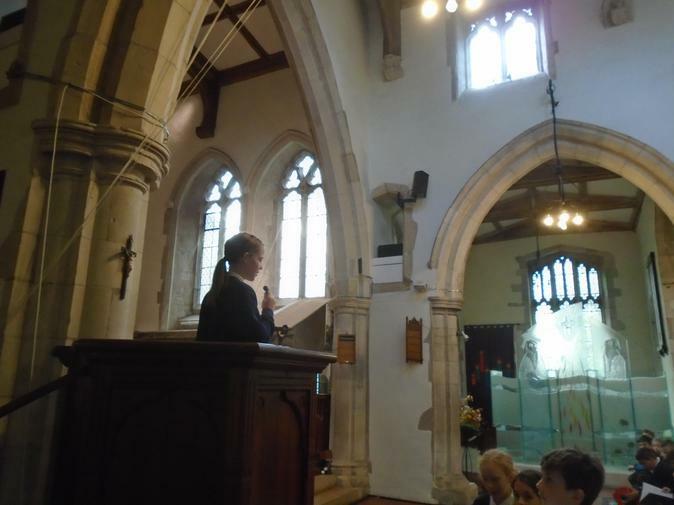 Thank you to all of the members of staff who came with us. 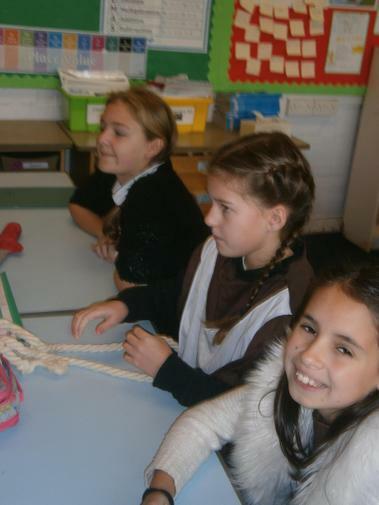 To start the part of our topic focused on the Women's Rights Movement, we explored what life was like for Victorian women before the Women's Rights Movement began. 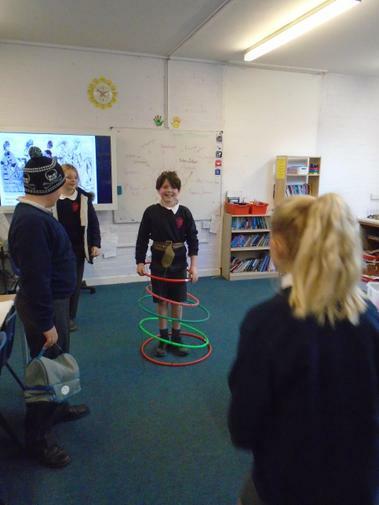 We looked at sources describing women in the Victorian era, and investigated what it was like to wear a Crinoline skirt for an hour over lunch time. 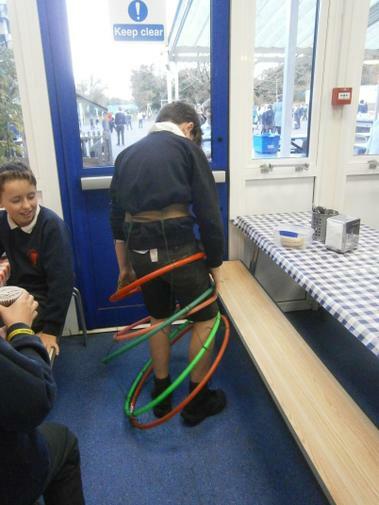 The review was that it was impractical, difficult to move in, impossible to run in, and generally a pain to wear! 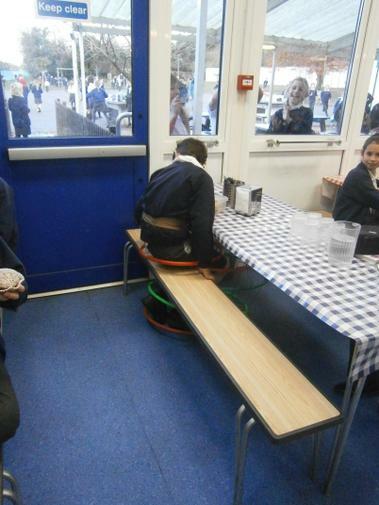 Needless to say, it did not survive lunch time. 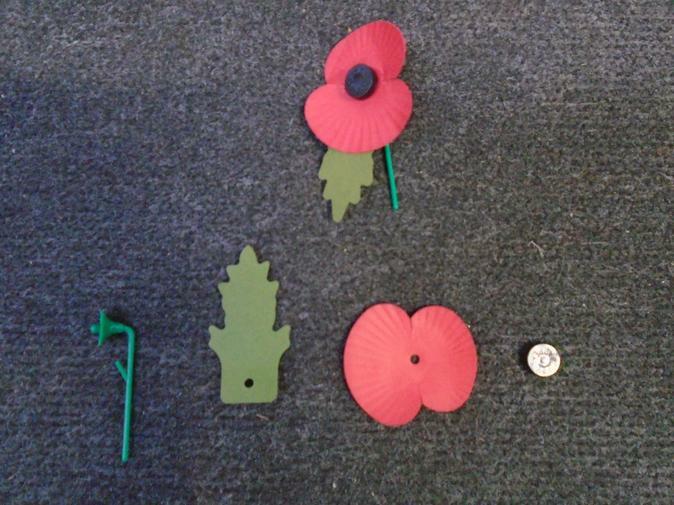 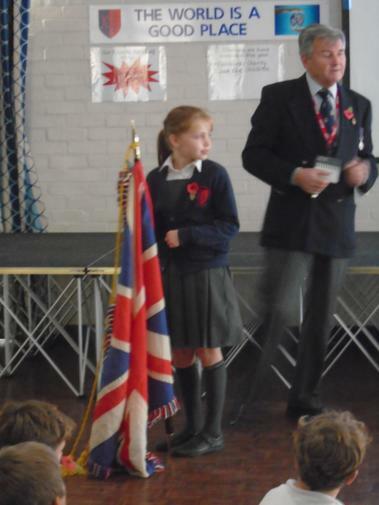 Visit from Colin Doyle from the Royal British Legion, where the children learnt more about the Royal British Legion's work, and made their own poppies. 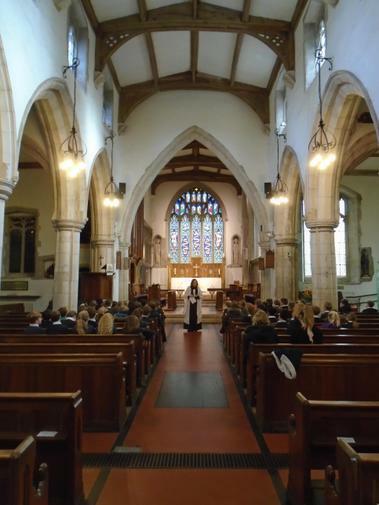 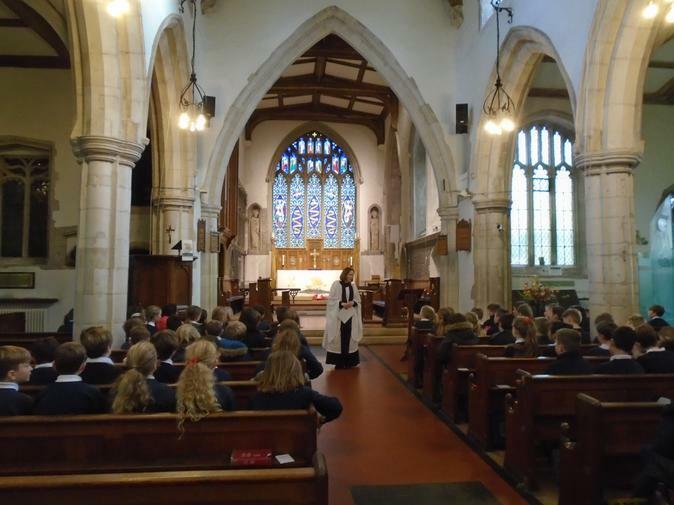 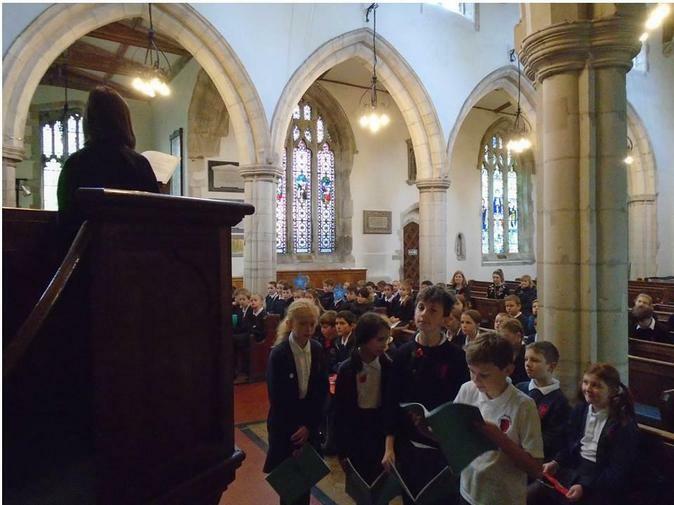 The whole Year attended a reflective service at the Church, were they shared their own poetry and took part in a minute silence of remembrance. 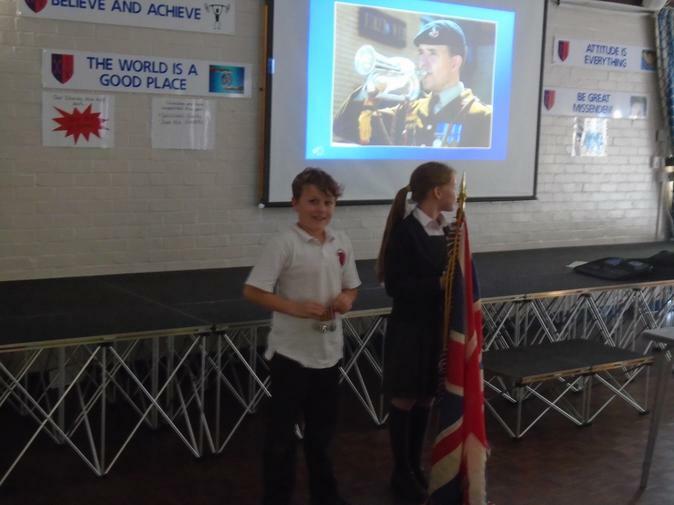 We are really proud of all the Year 6s for their work during this week and their reflections and thoughts on this important topic. 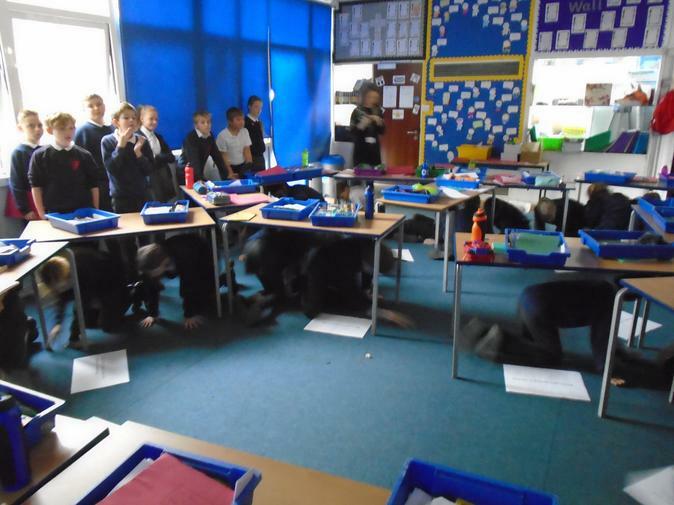 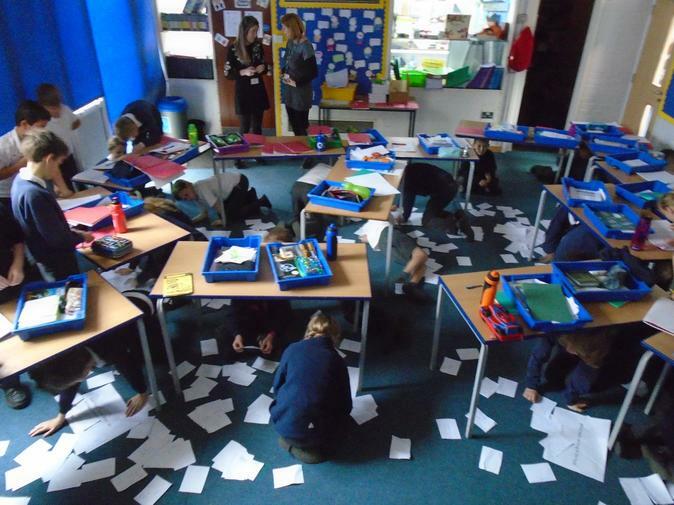 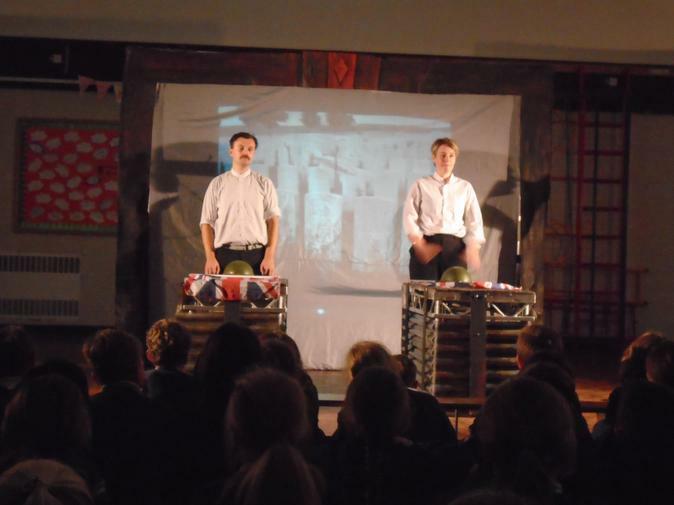 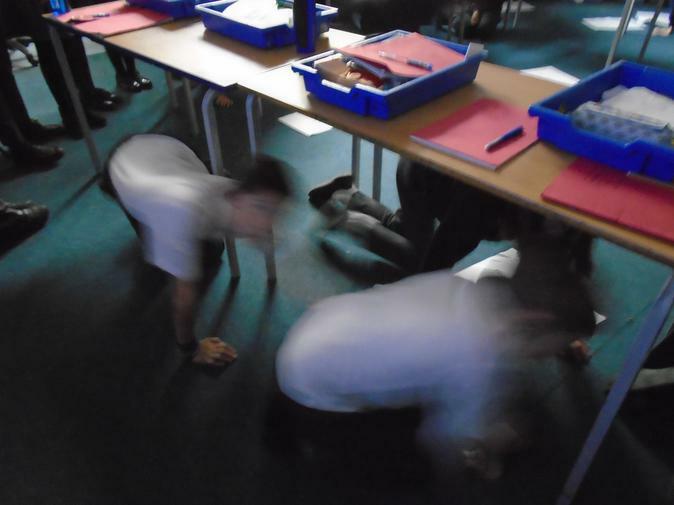 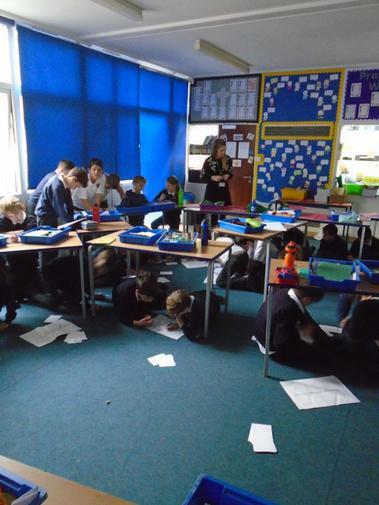 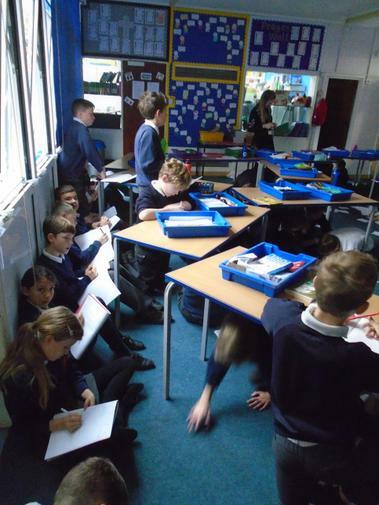 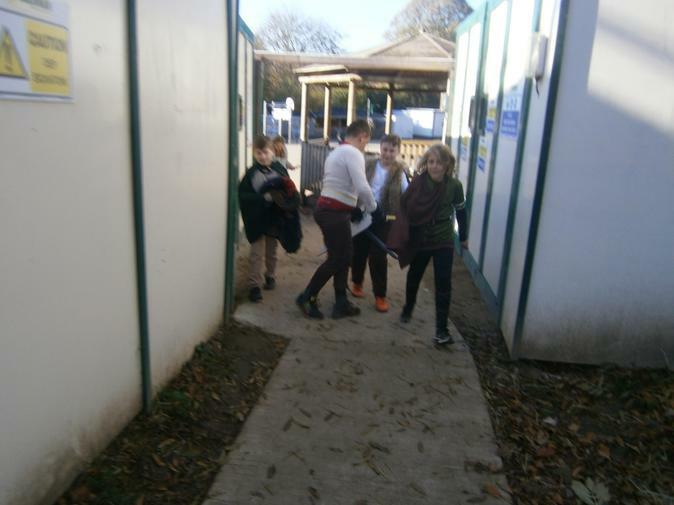 To better understand the emotions of what it must have been like to be in the trenches, we created a trench in the class using tables, and read excerpts from Wilfred Owen's Dulce Et Decorum Est while we we crawled through, listening to a soundtrack of World War sounds. 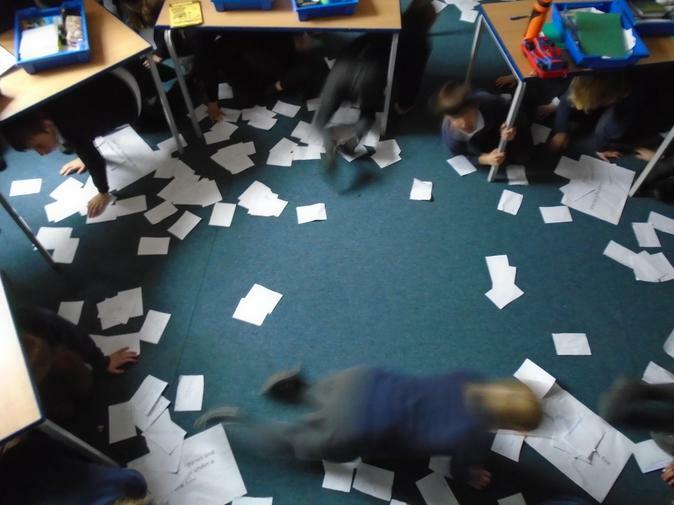 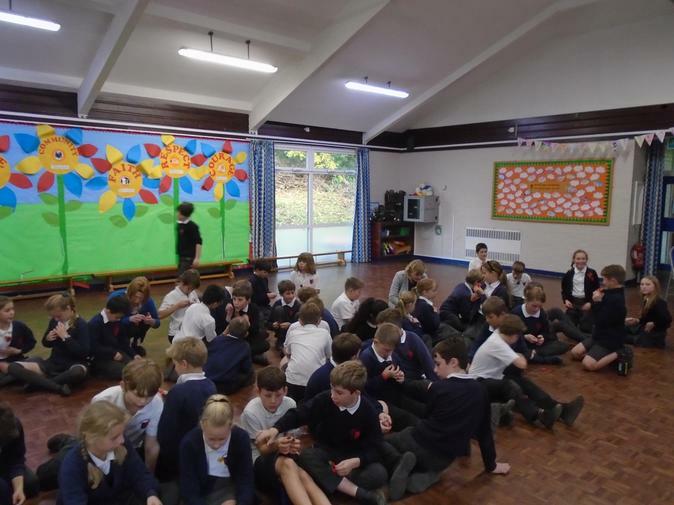 We really experienced what it must have been like in the trenches, and created a word carpet of ideas, thoughts and feelings to help us with our War Poetry. 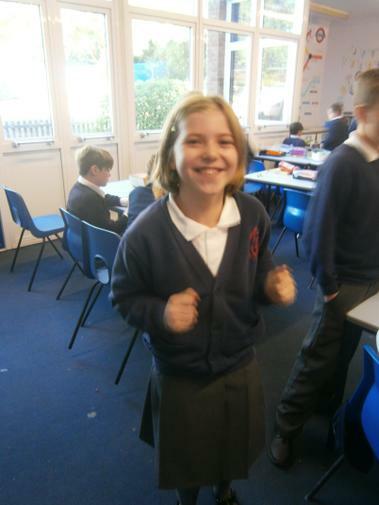 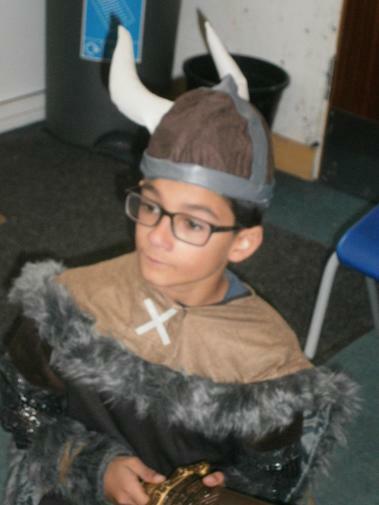 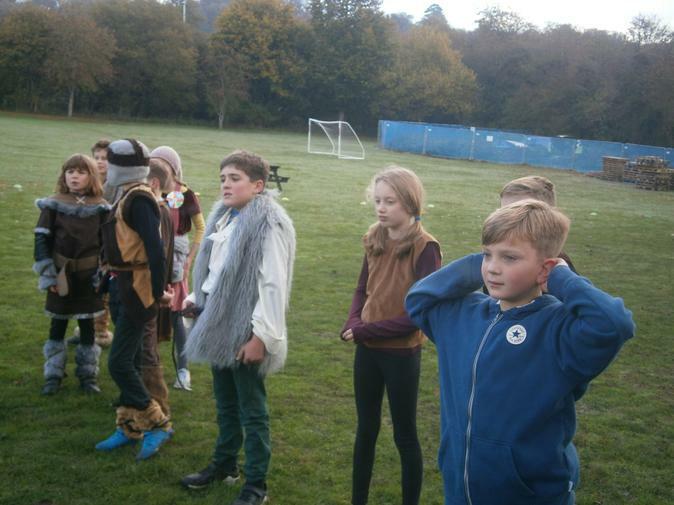 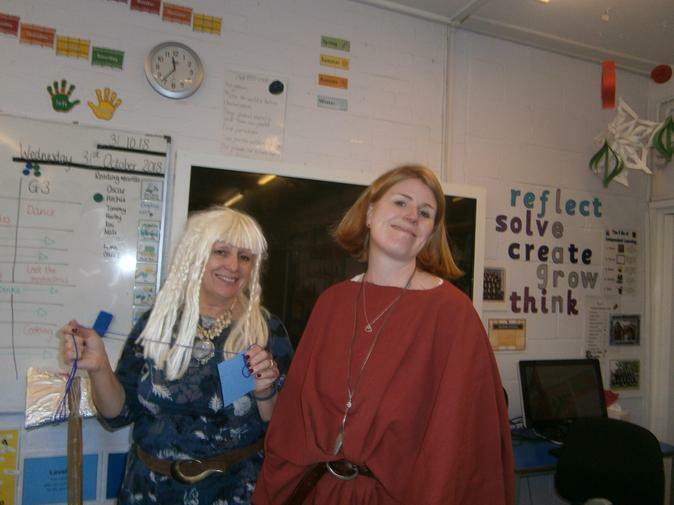 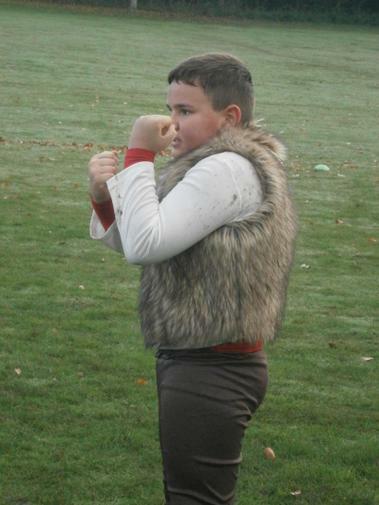 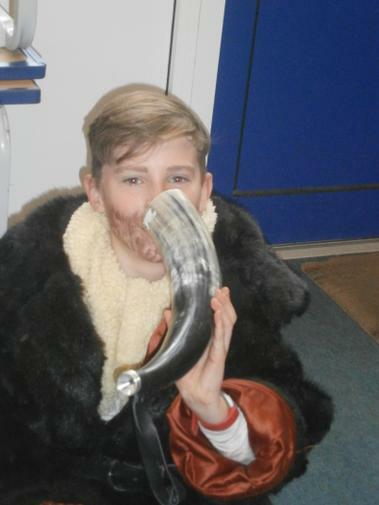 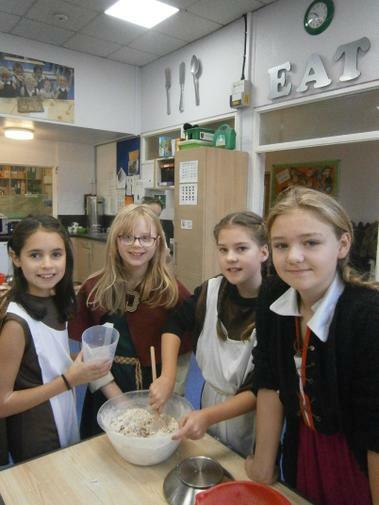 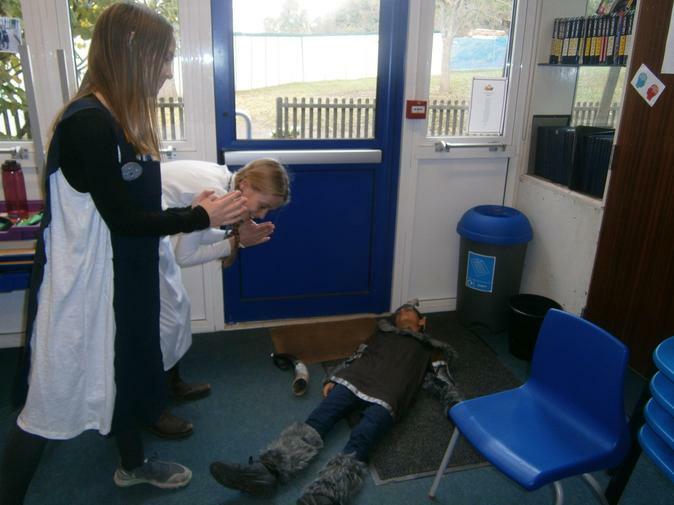 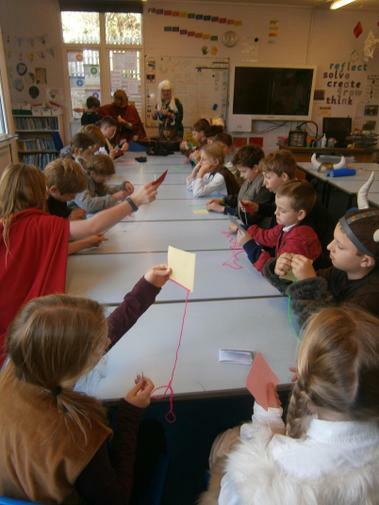 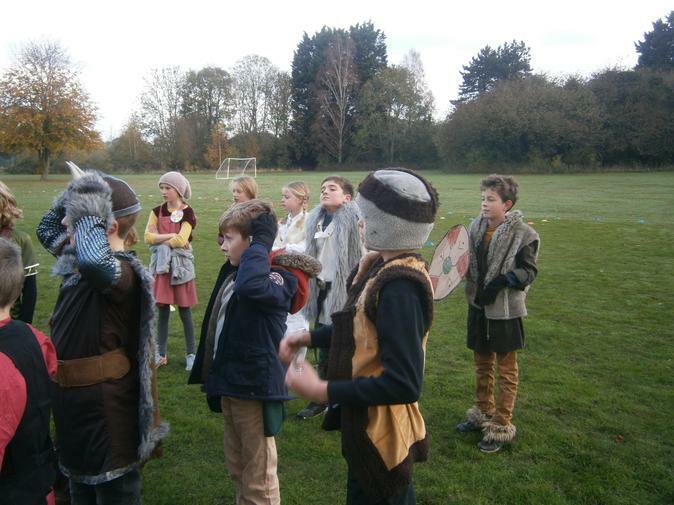 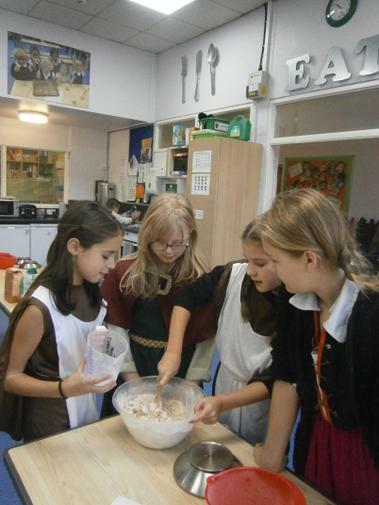 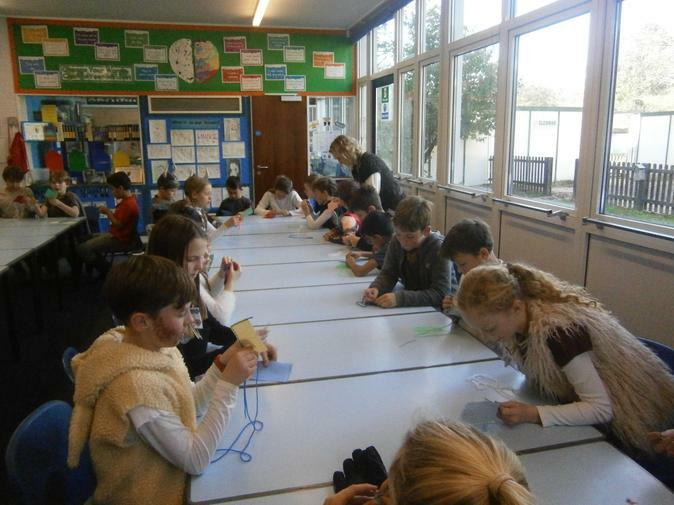 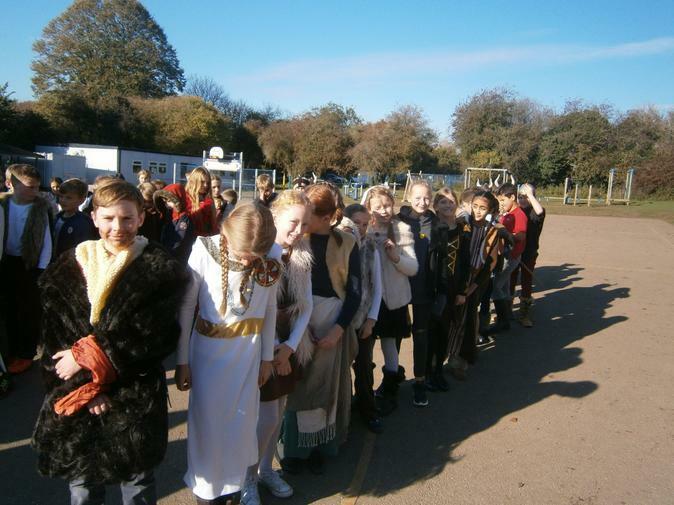 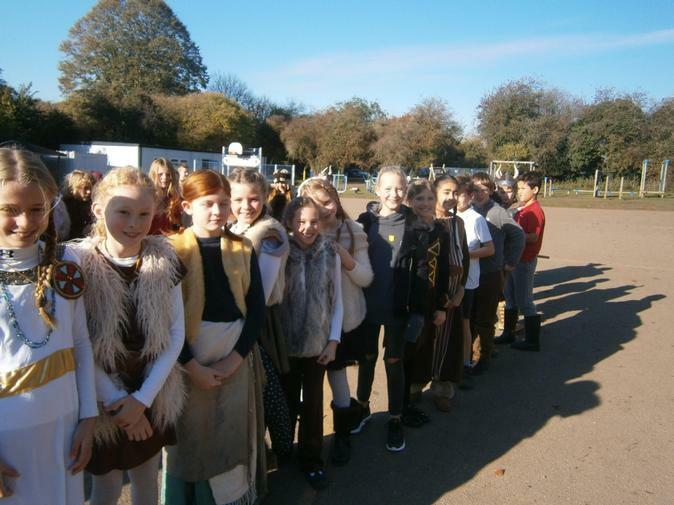 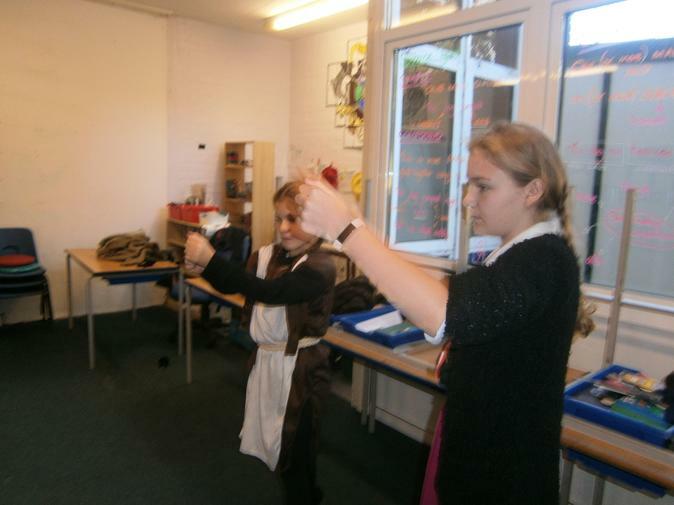 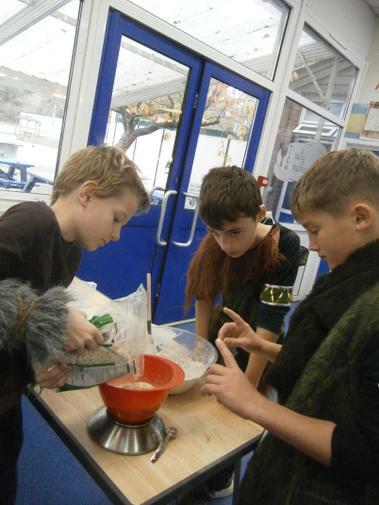 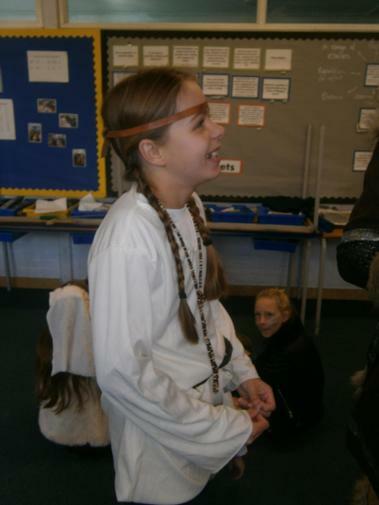 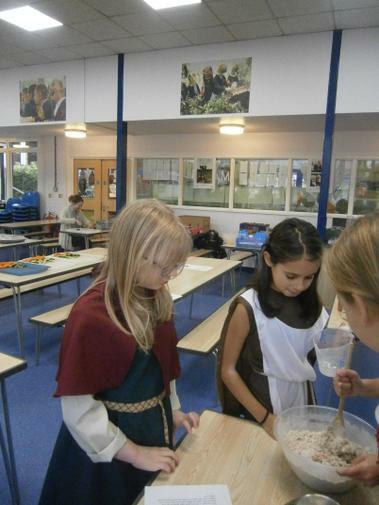 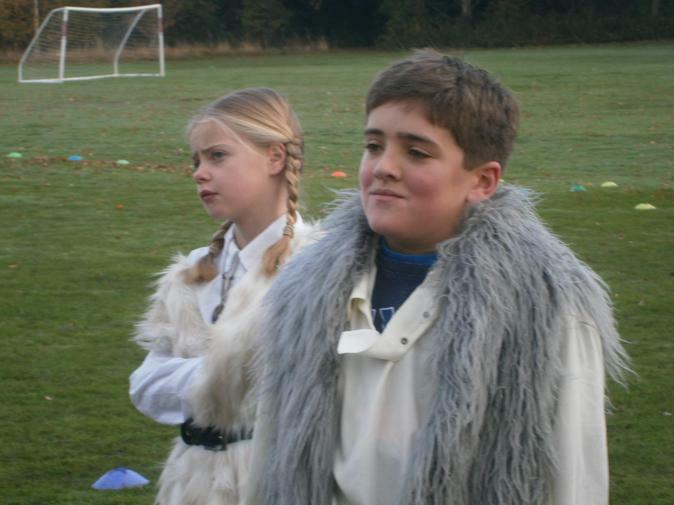 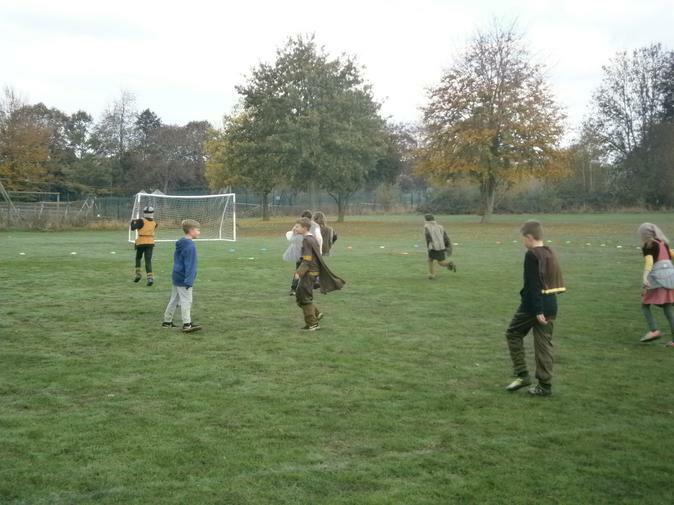 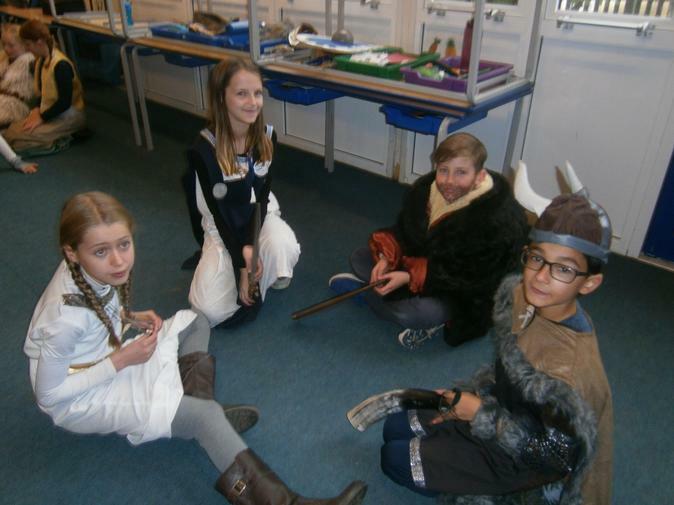 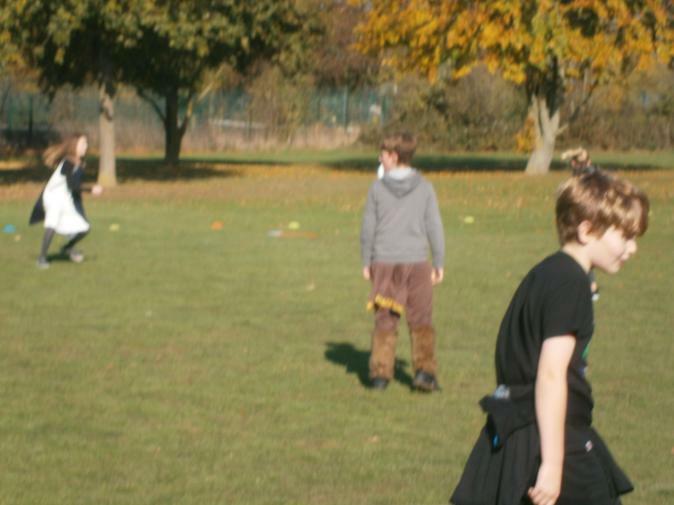 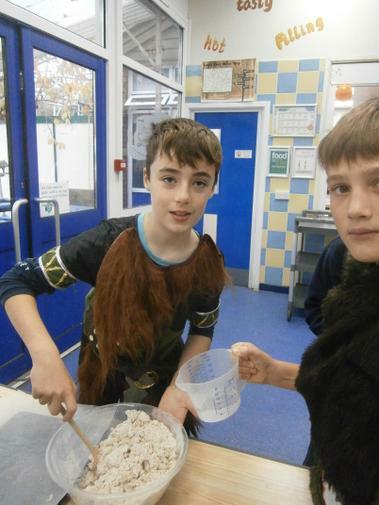 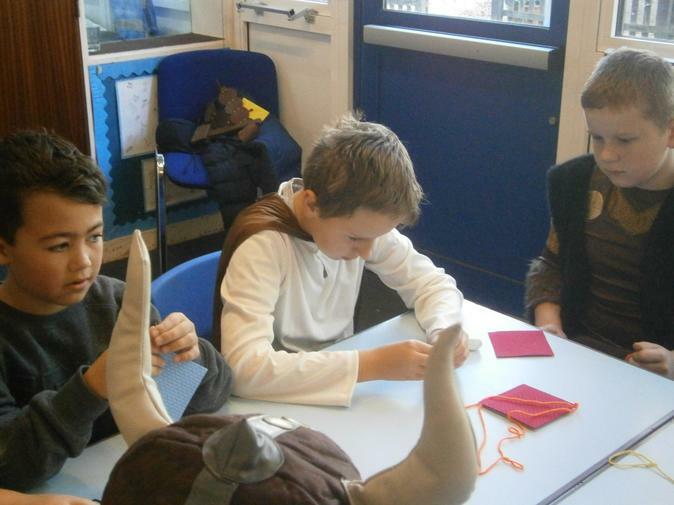 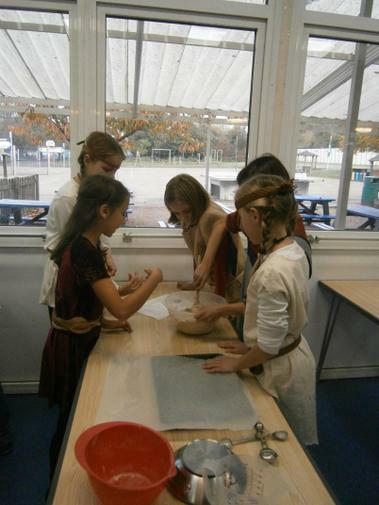 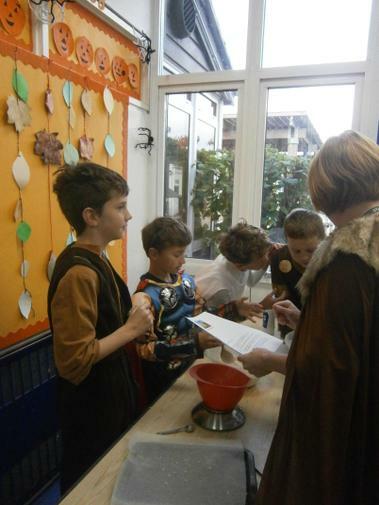 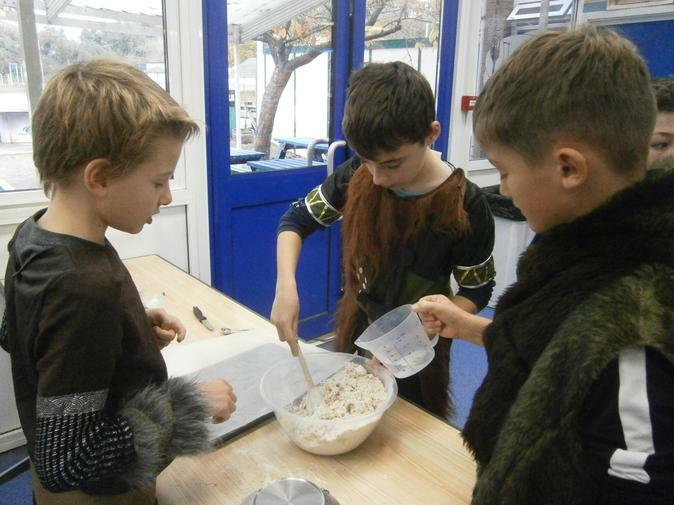 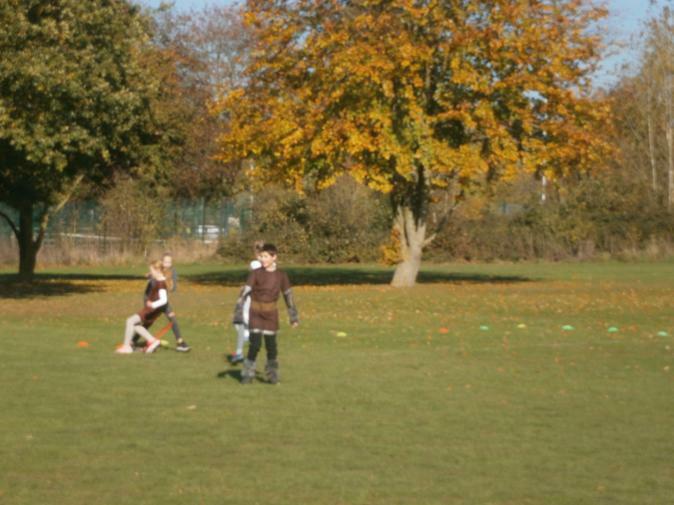 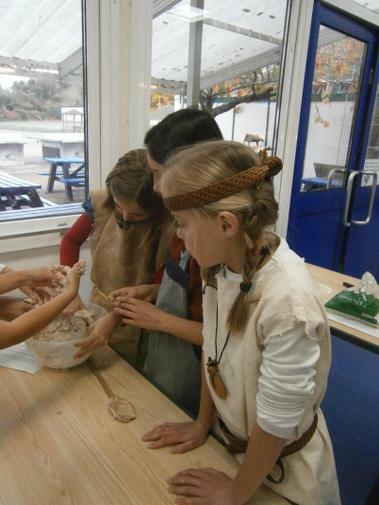 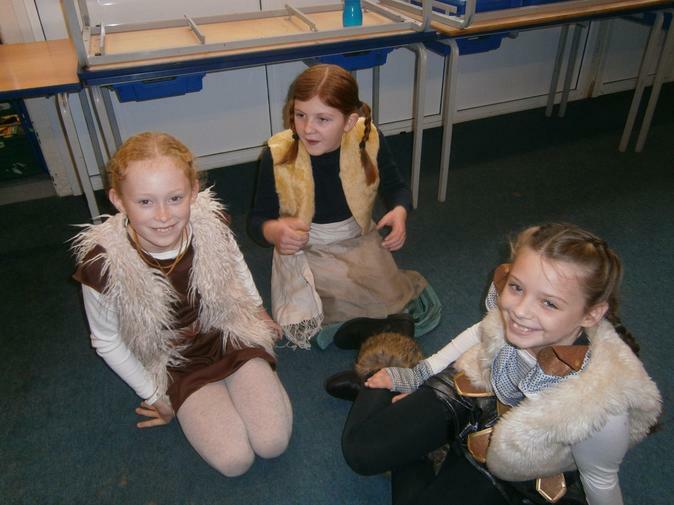 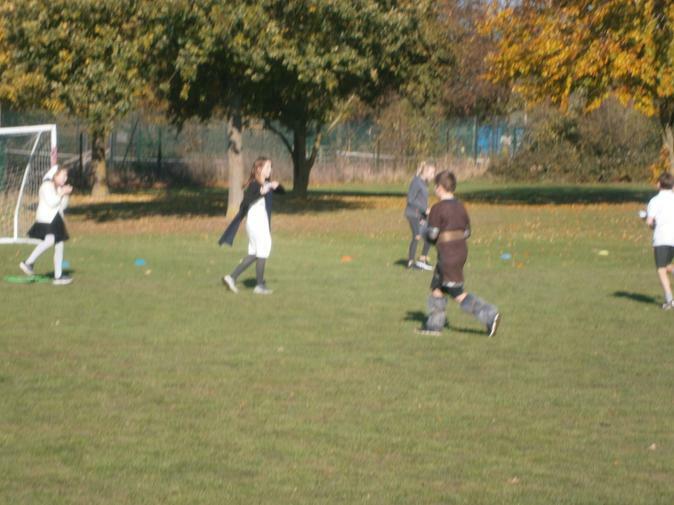 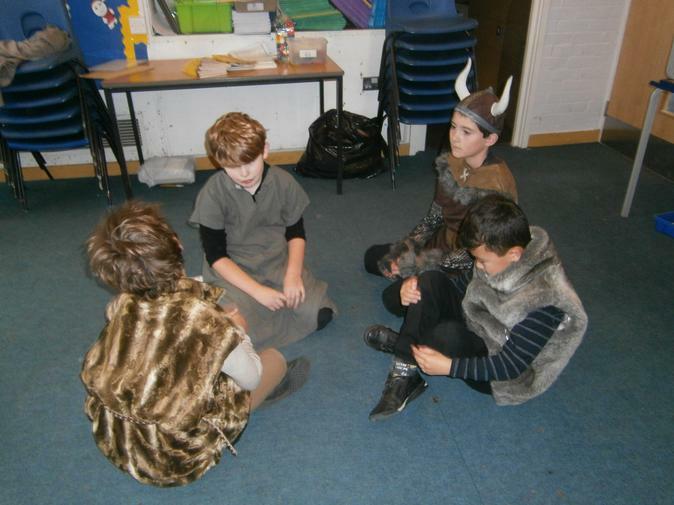 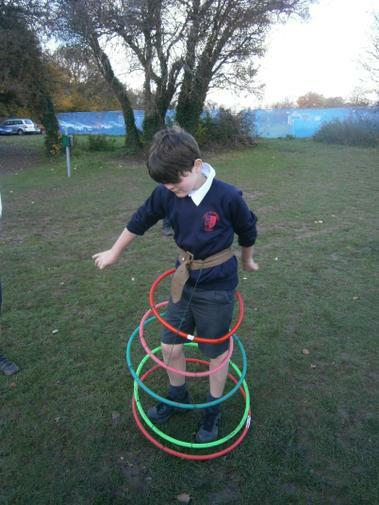 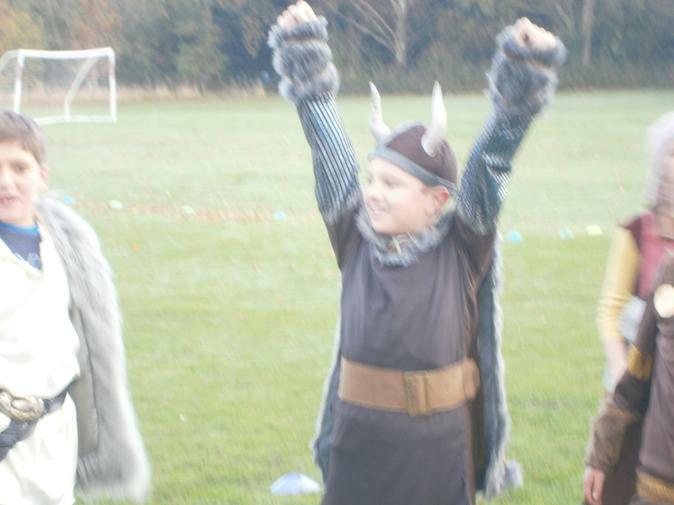 On 31st October Year 6 celebrated a Viking day to finish off our Autumn 1 topic of the Vikings. 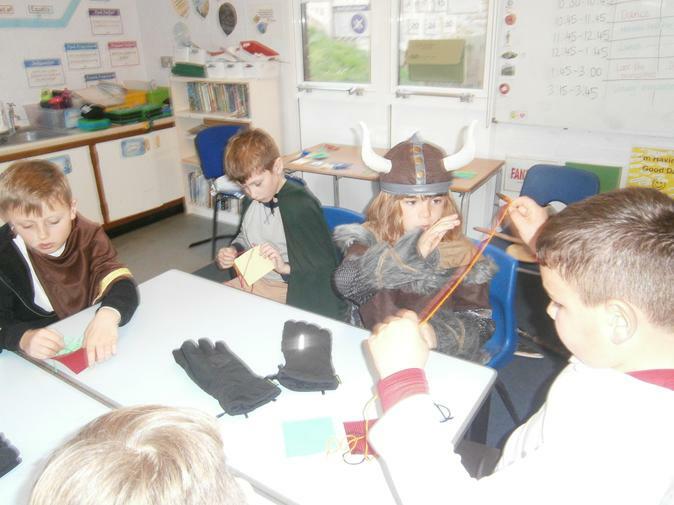 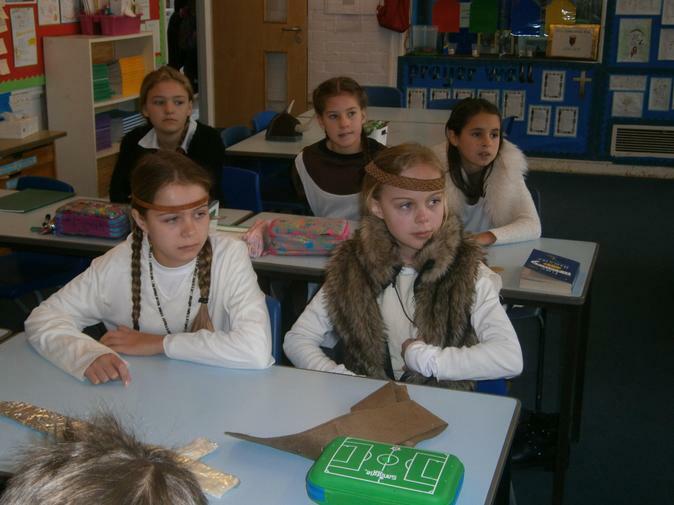 This topic led on well from our Year 5 Summer topic of the Anglo Saxons. 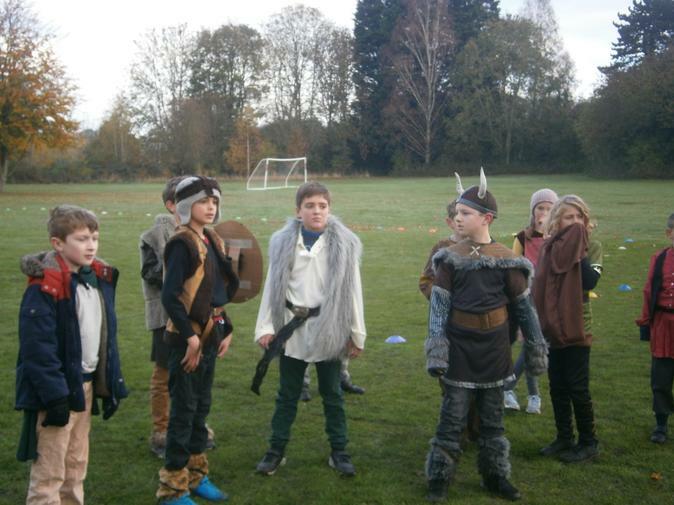 We all came to school dressed up in our best Viking attire and our day was filled with lots of fun and creative activities. 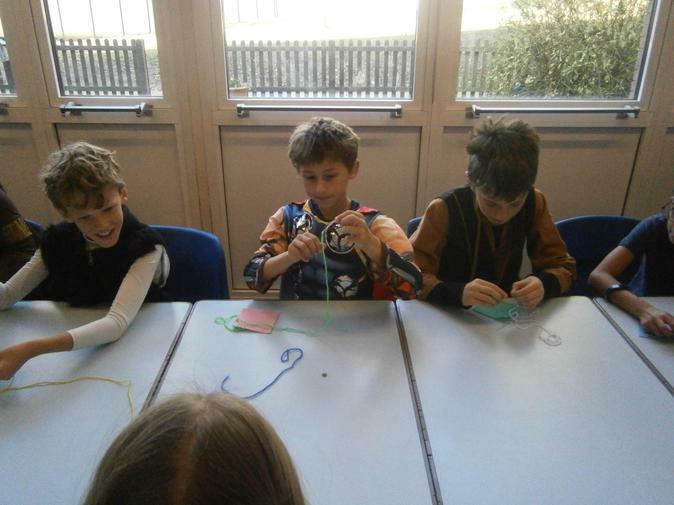 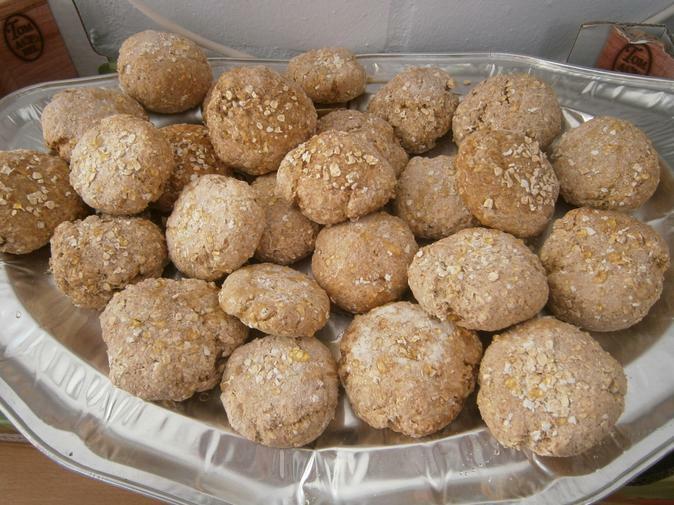 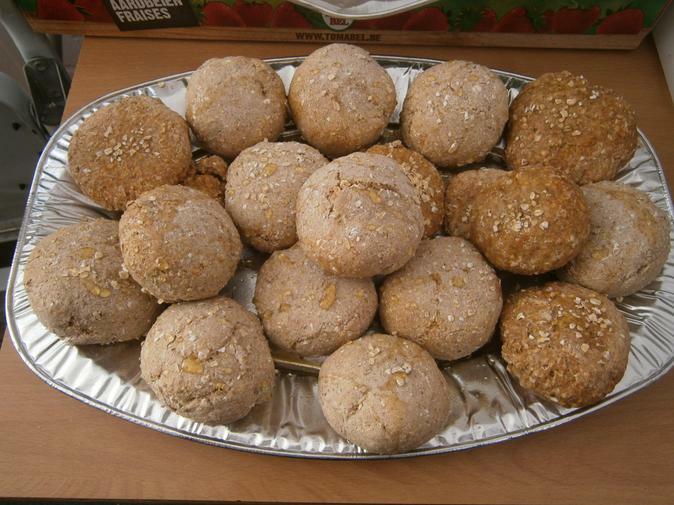 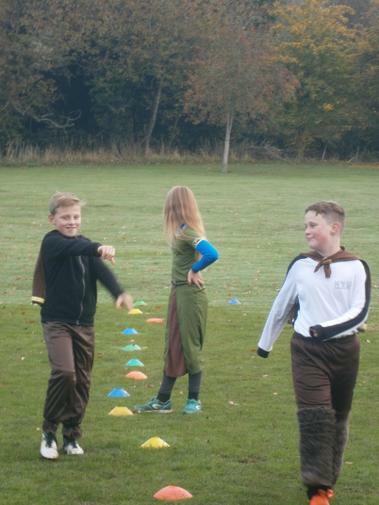 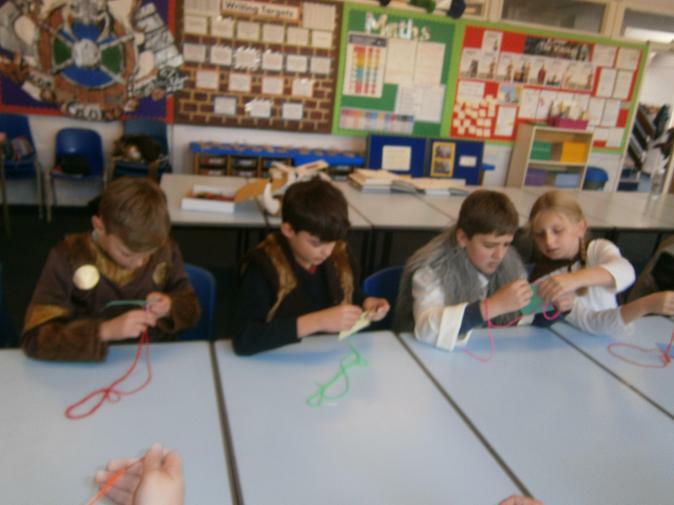 We played raid and loot the monastery, we cooked Viking bread and flapjacks (that were then served at the exhibition), we learnt how to cross stitch using Binka and we created Viking dances. 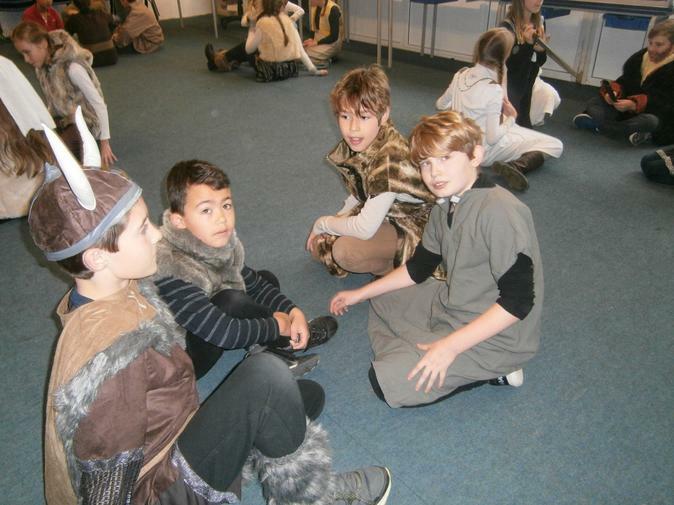 At the end of the day our parents and siblings came to see all of the fantastic work we have created during the term, from clay heads to newspaper reports, from creating Gods and Godesses to making longship adverts. 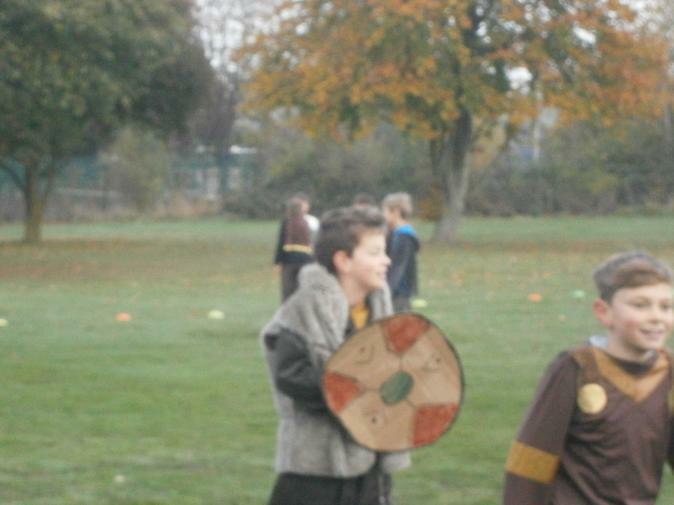 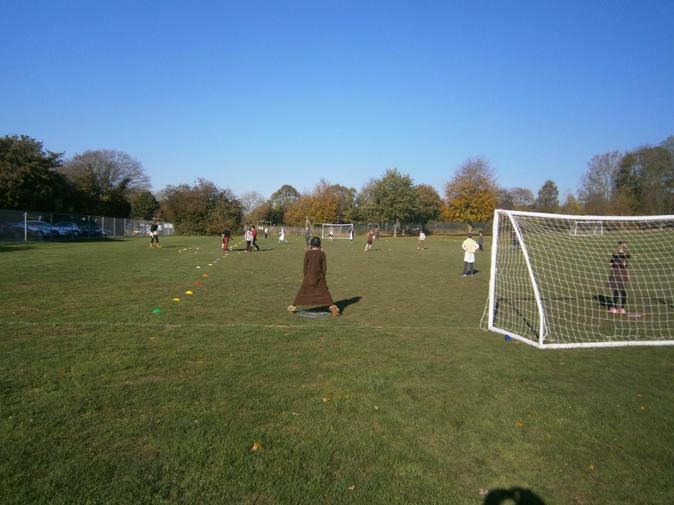 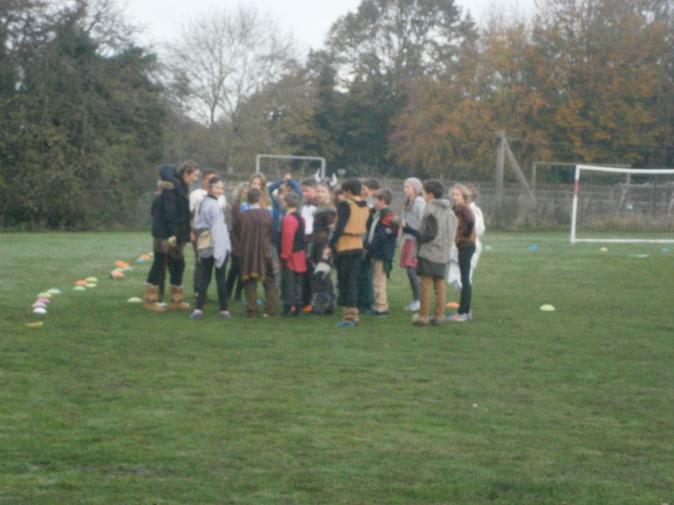 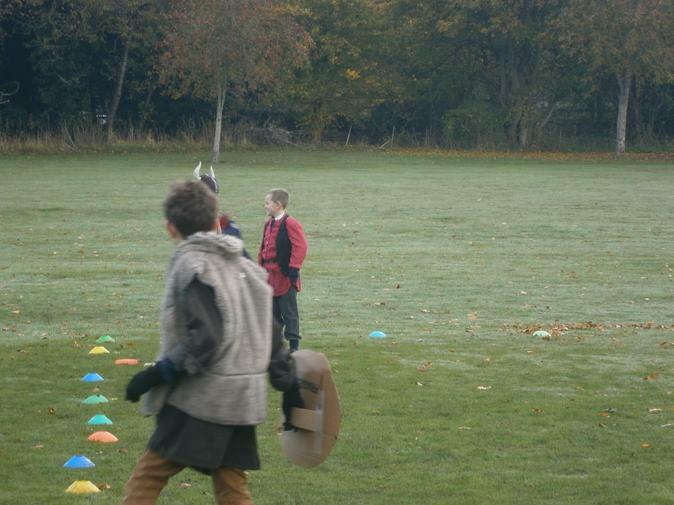 Not only did we have a busy and fun Viking day but an excellent first half term! 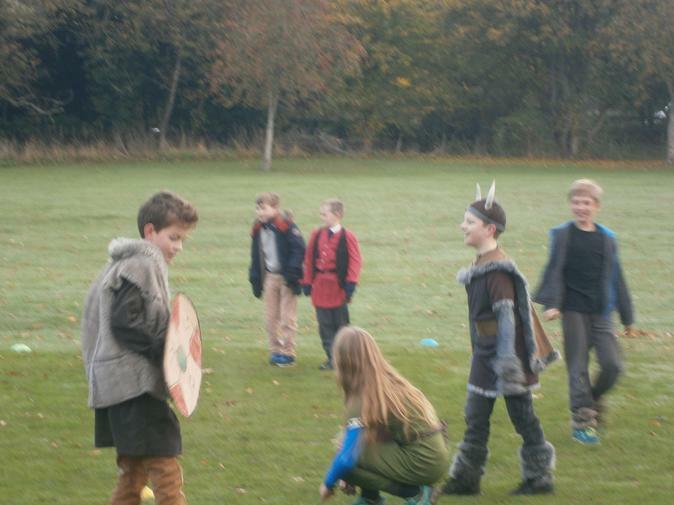 See some of the photos from Viking day below. 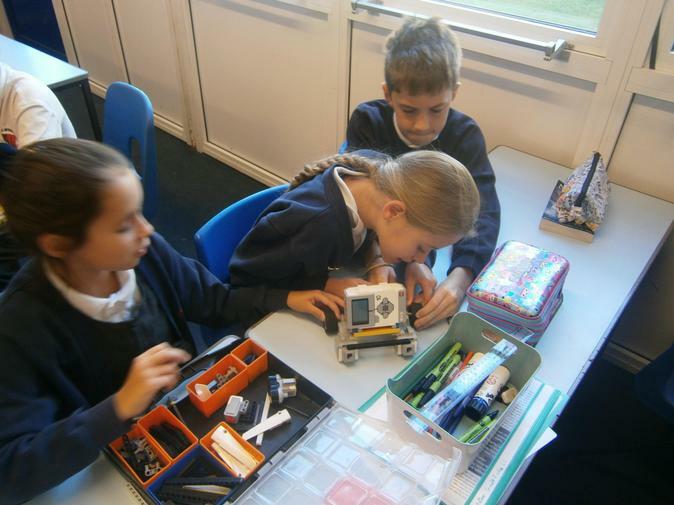 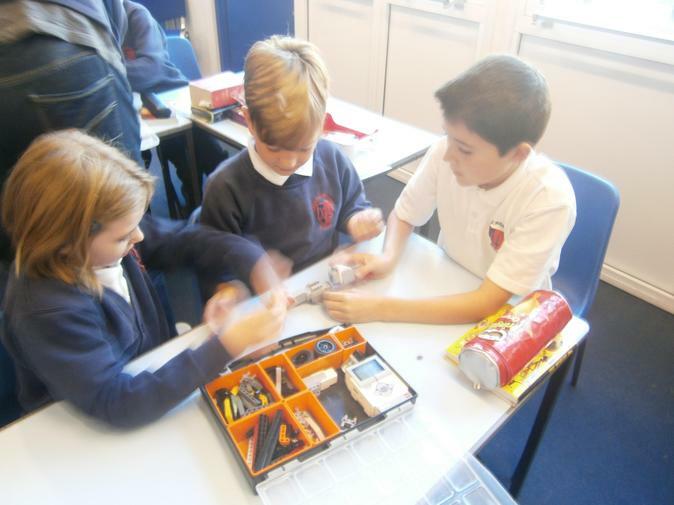 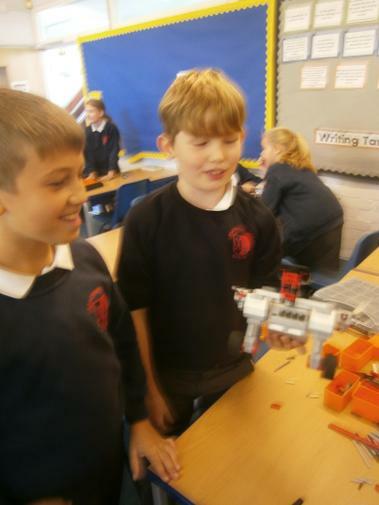 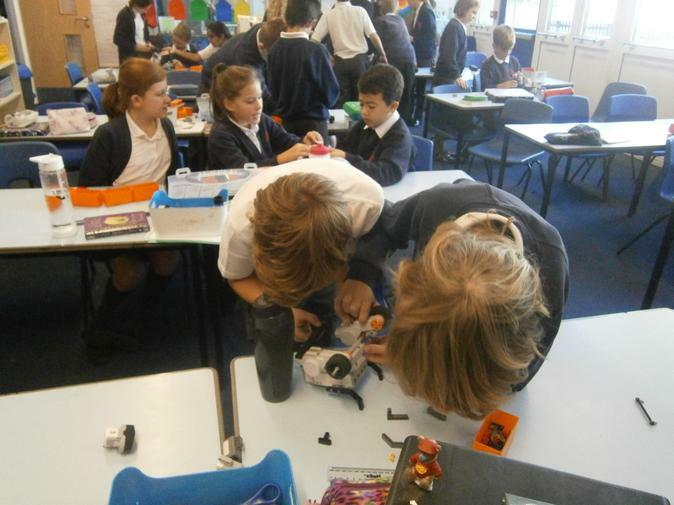 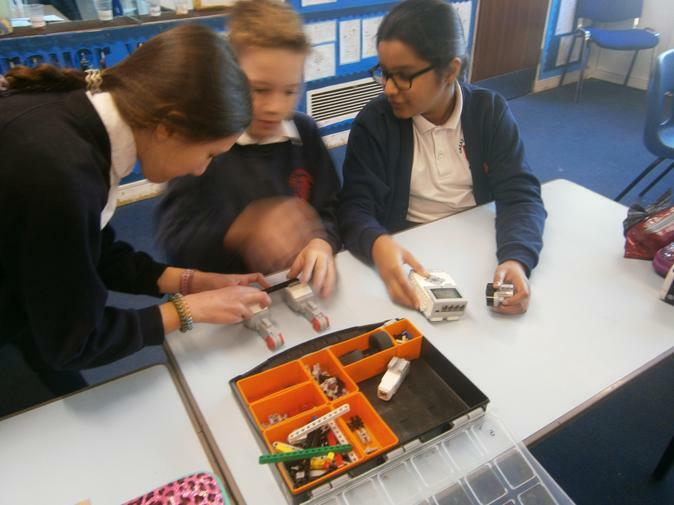 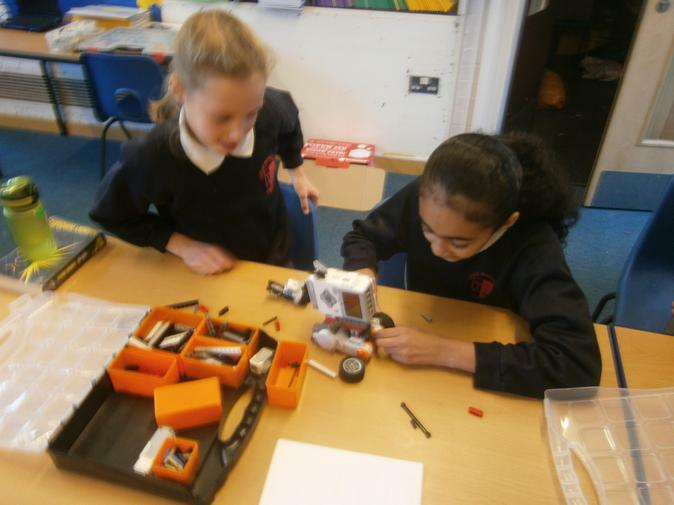 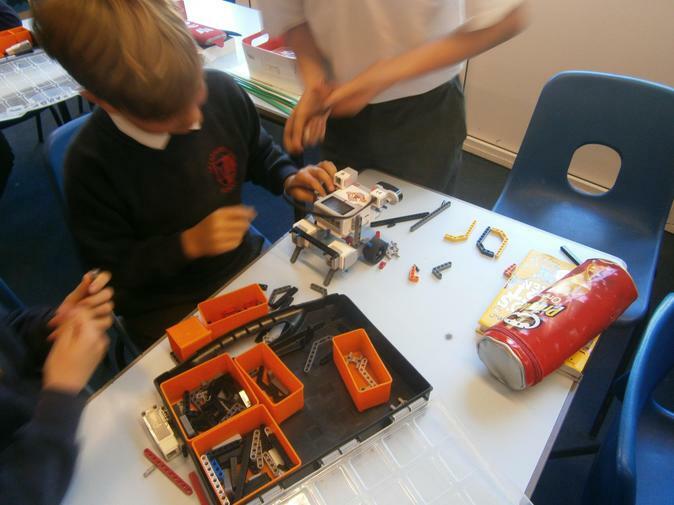 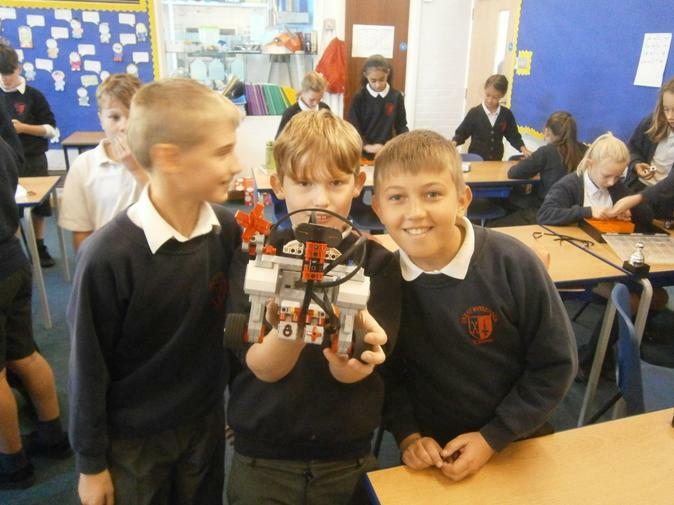 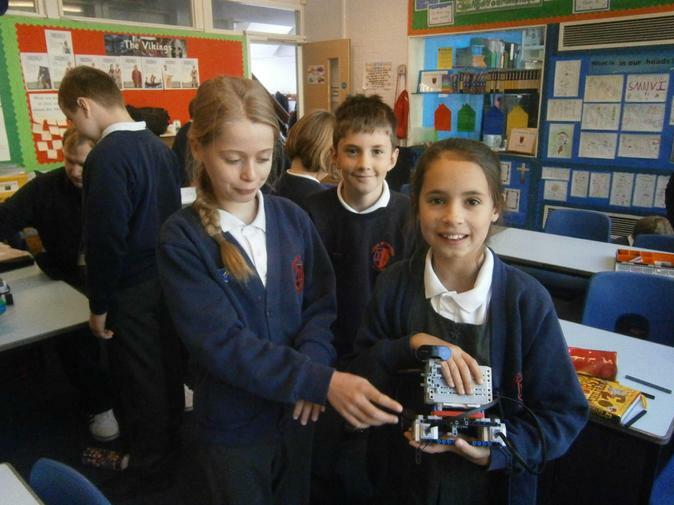 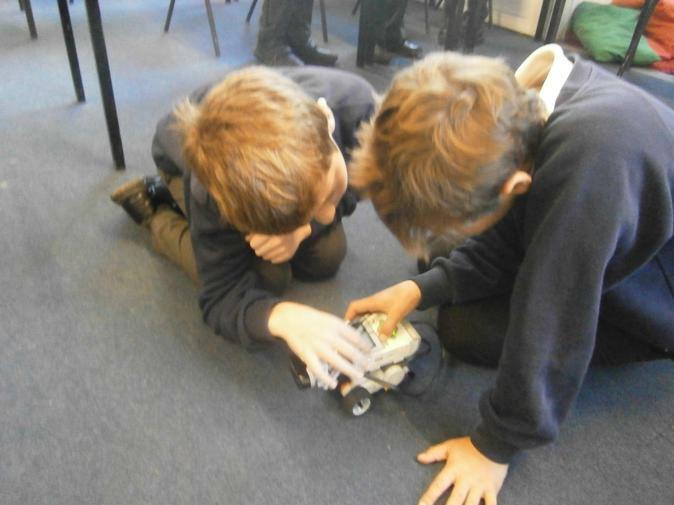 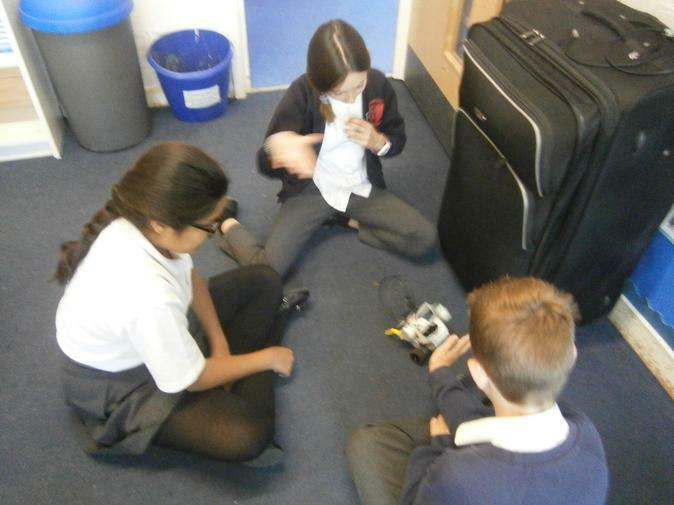 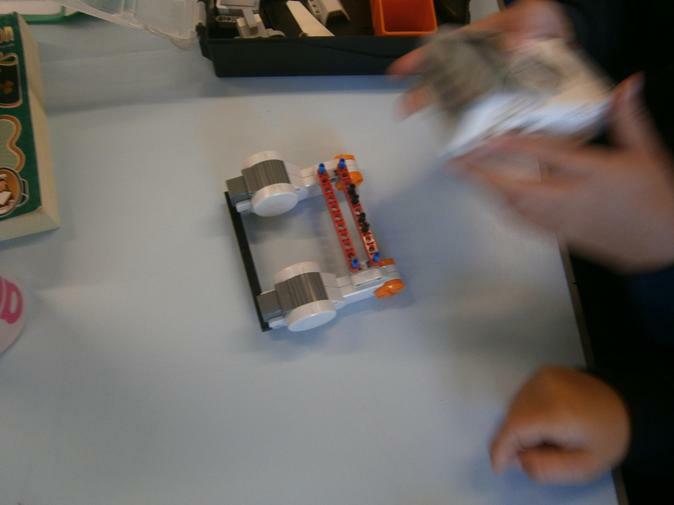 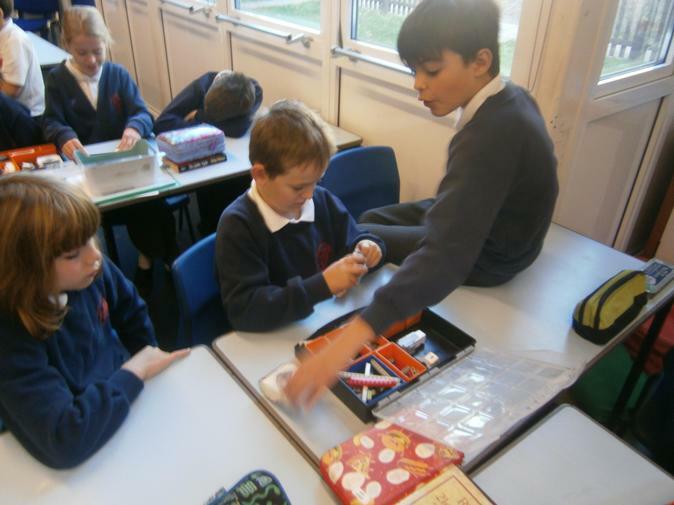 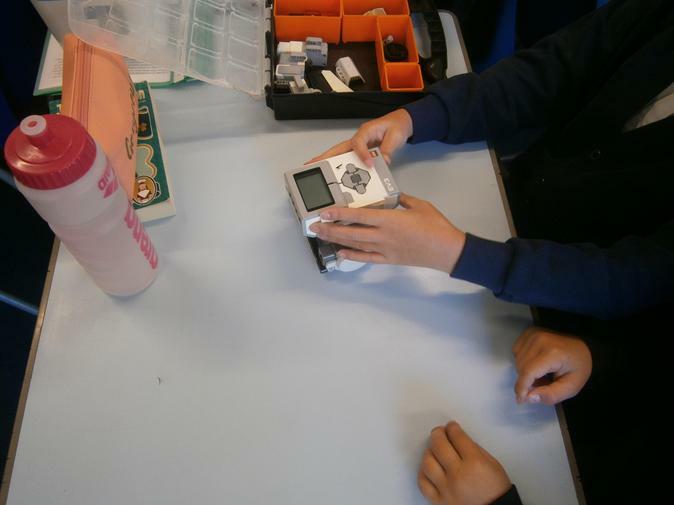 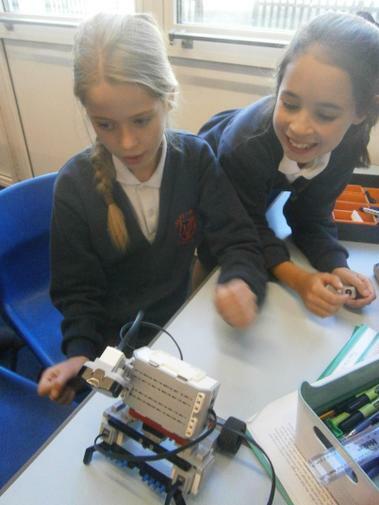 Today we programmed LEGO robots in Year 6!